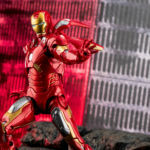 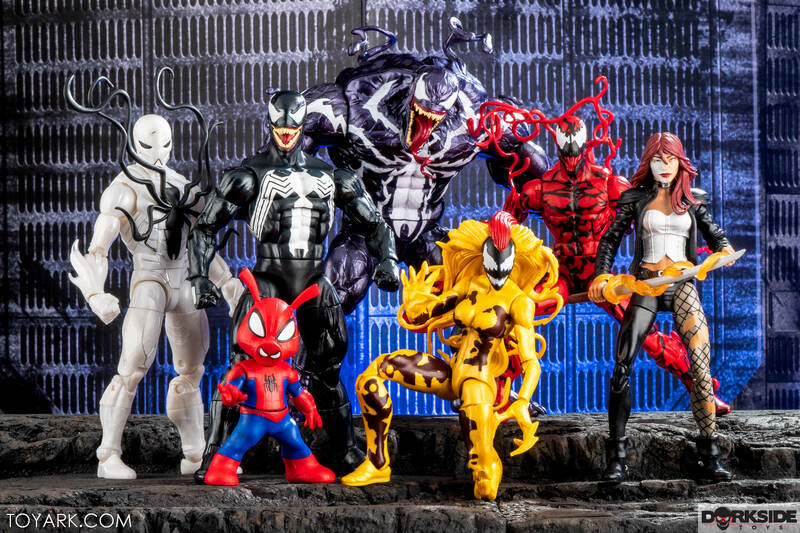 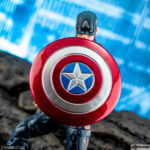 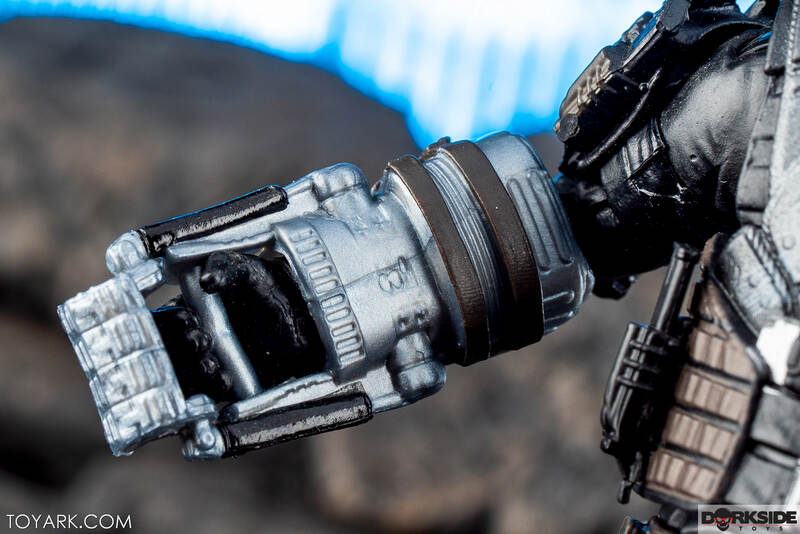 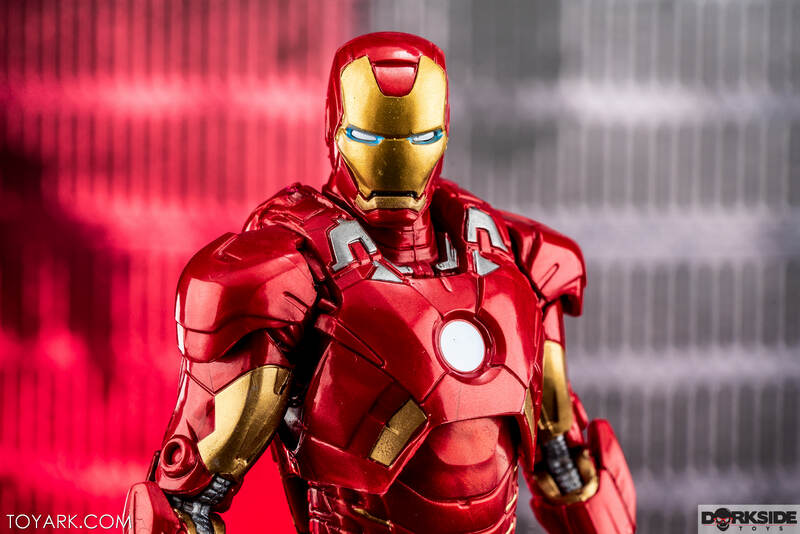 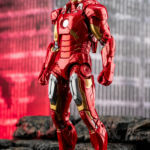 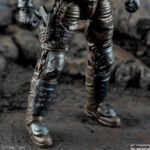 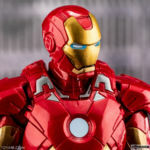 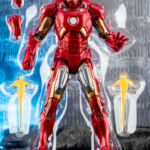 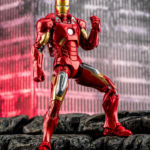 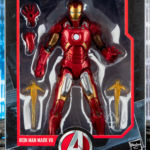 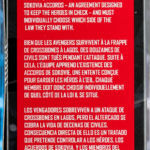 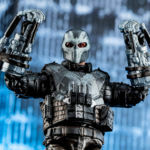 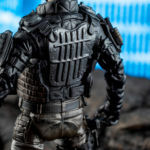 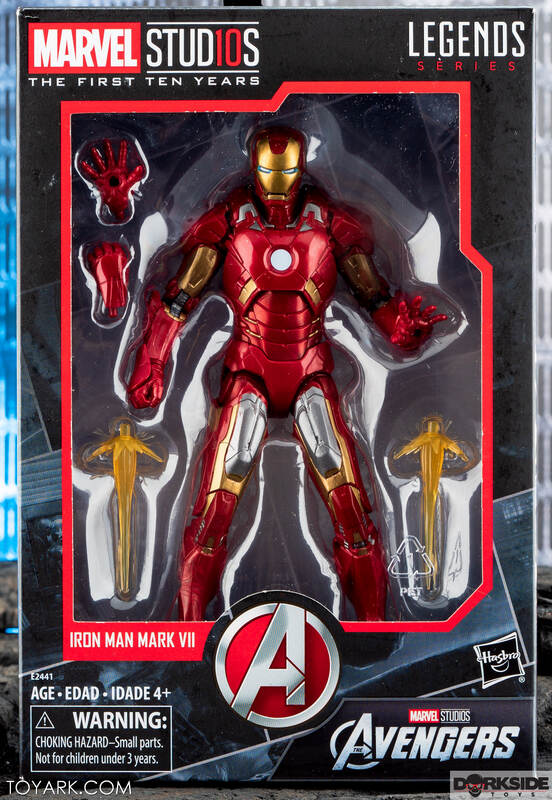 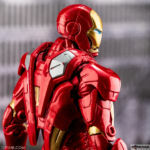 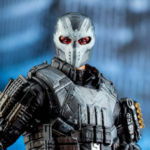 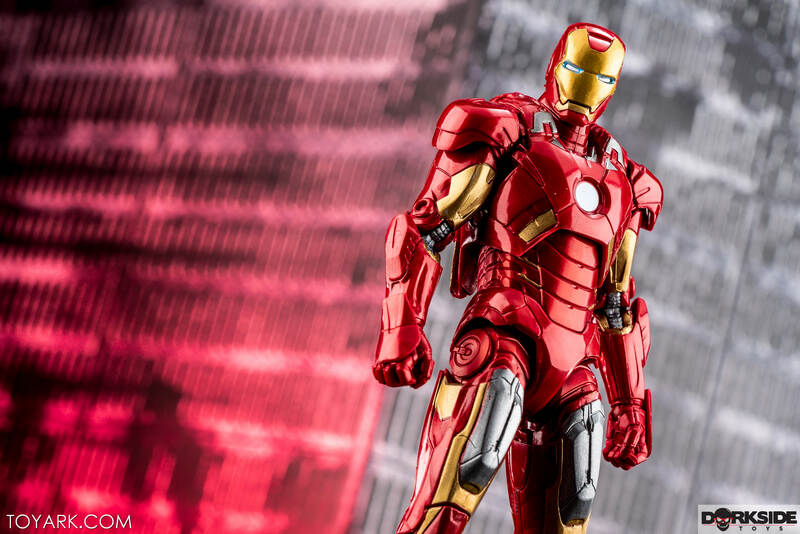 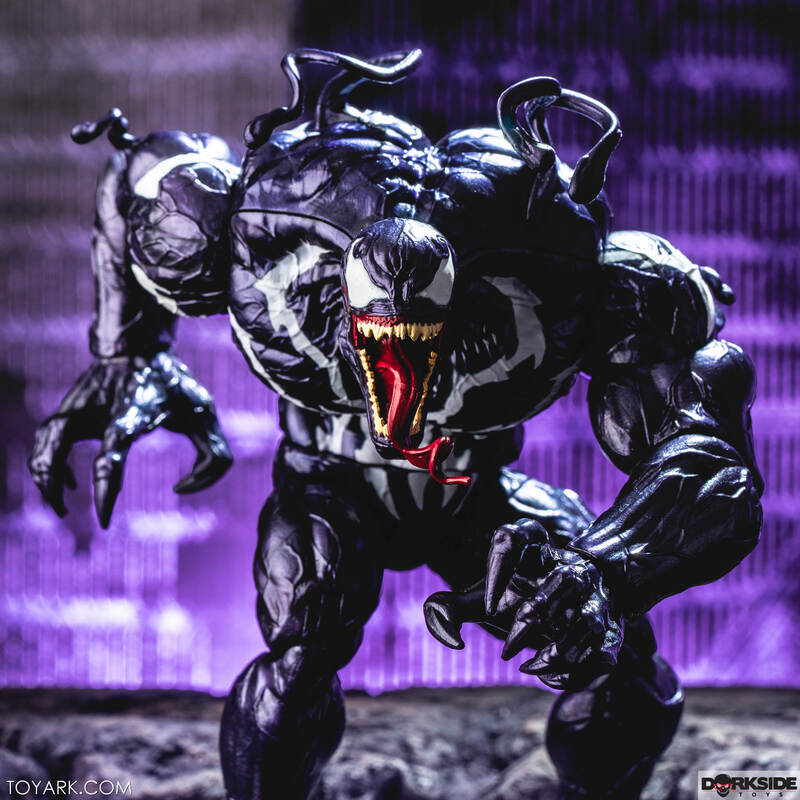 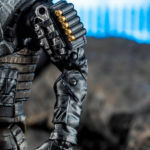 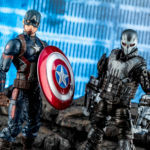 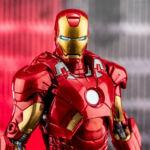 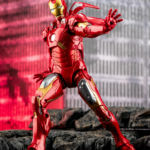 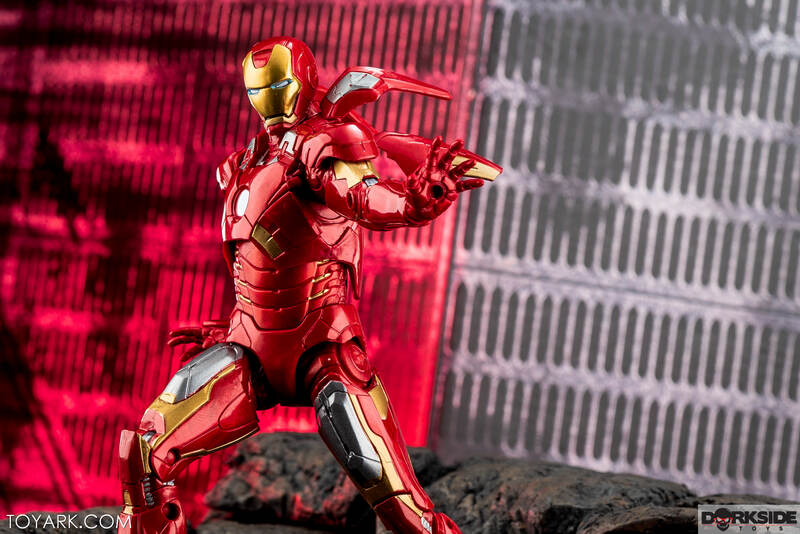 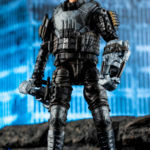 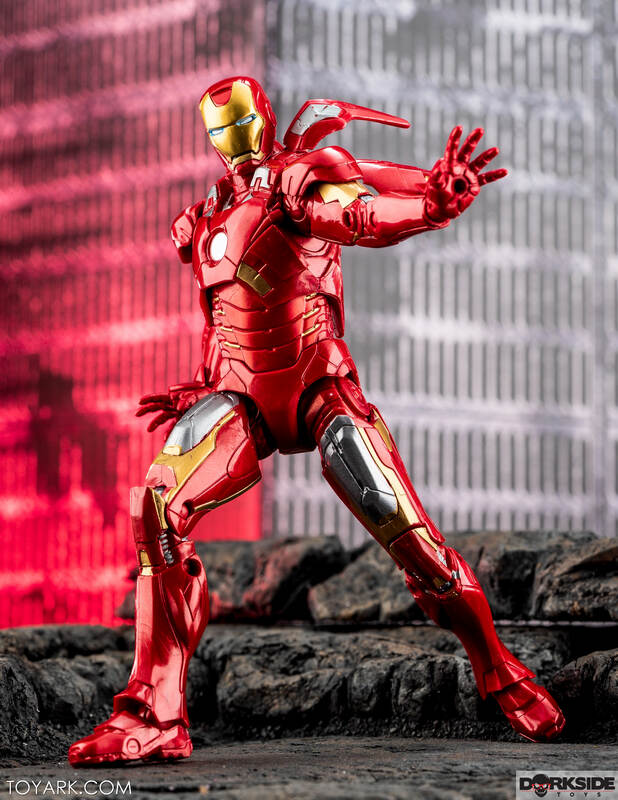 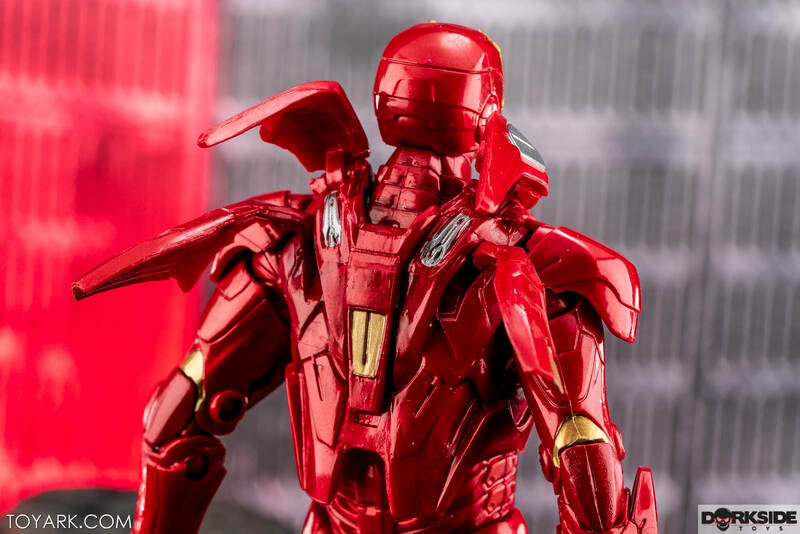 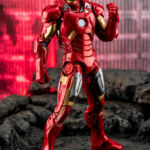 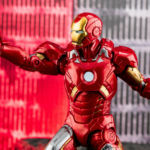 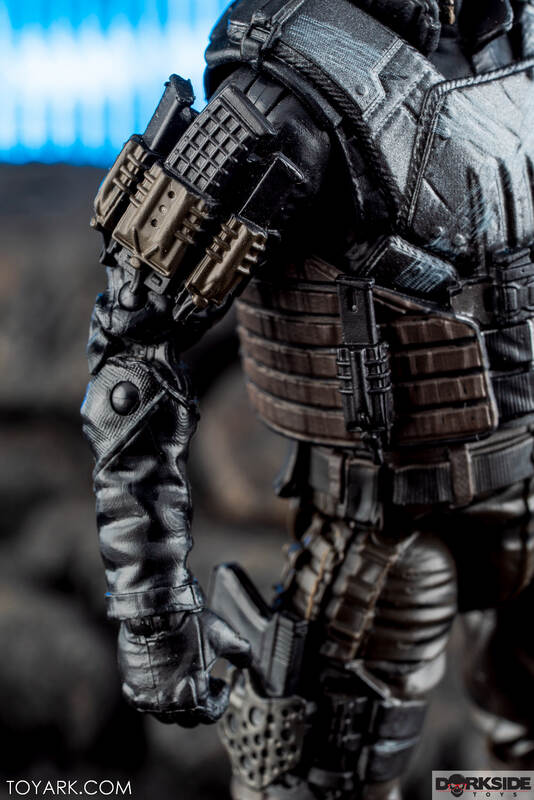 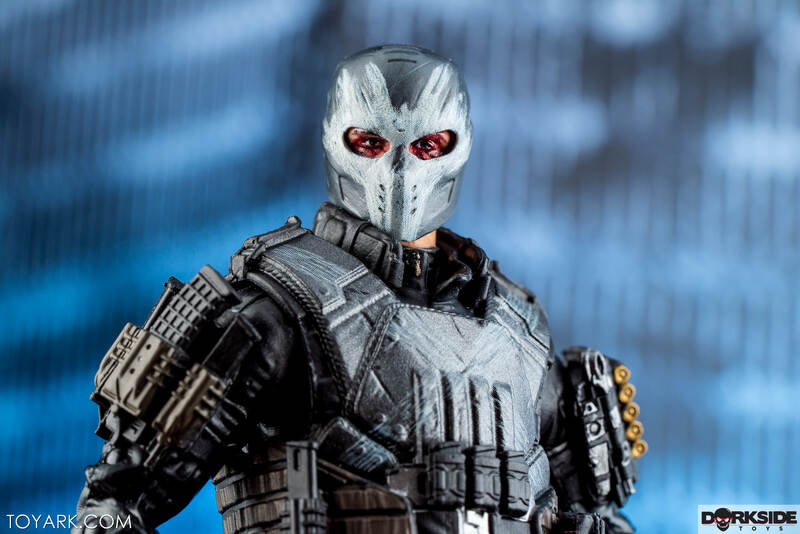 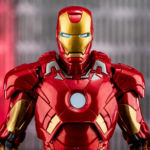 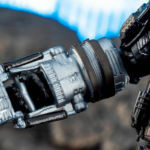 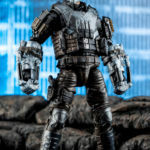 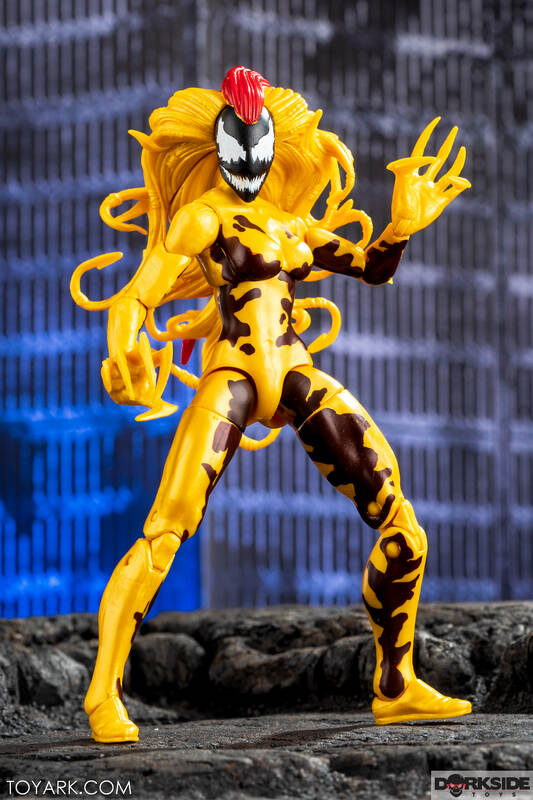 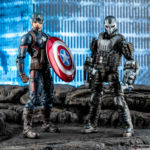 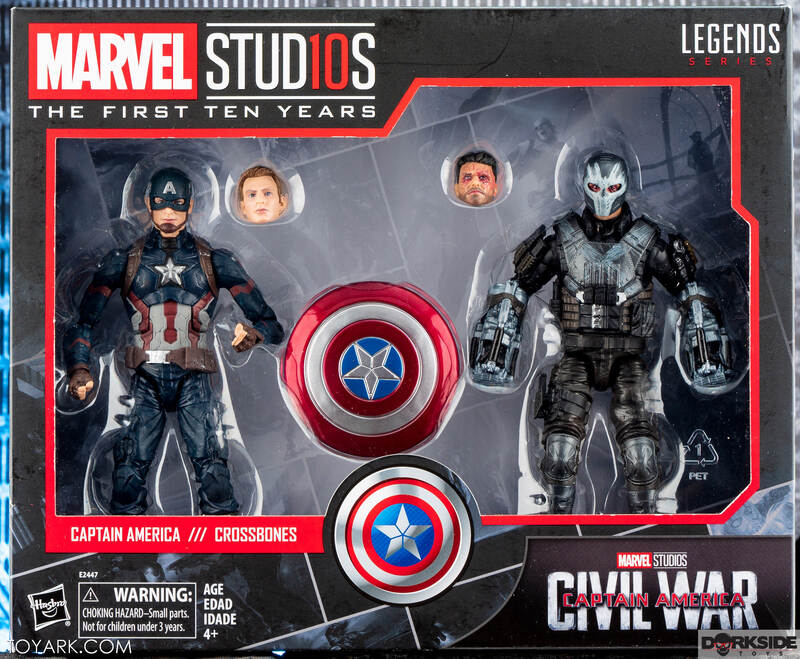 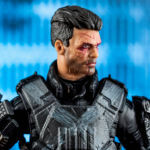 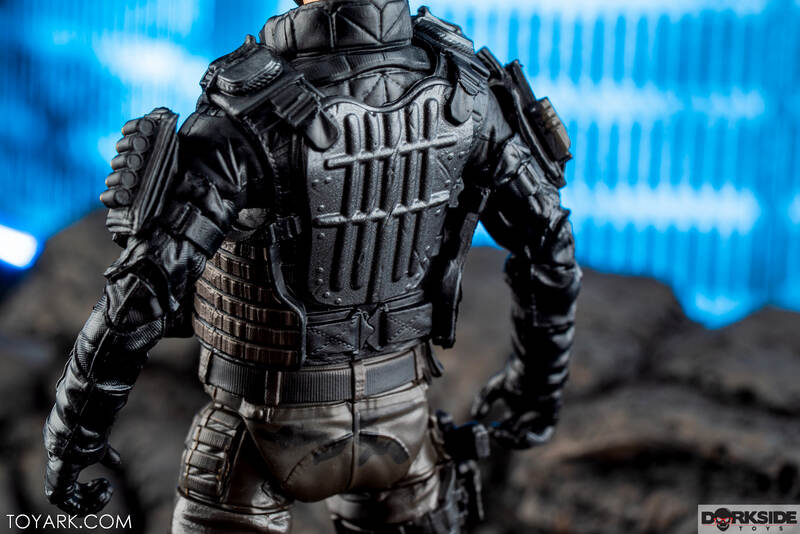 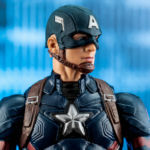 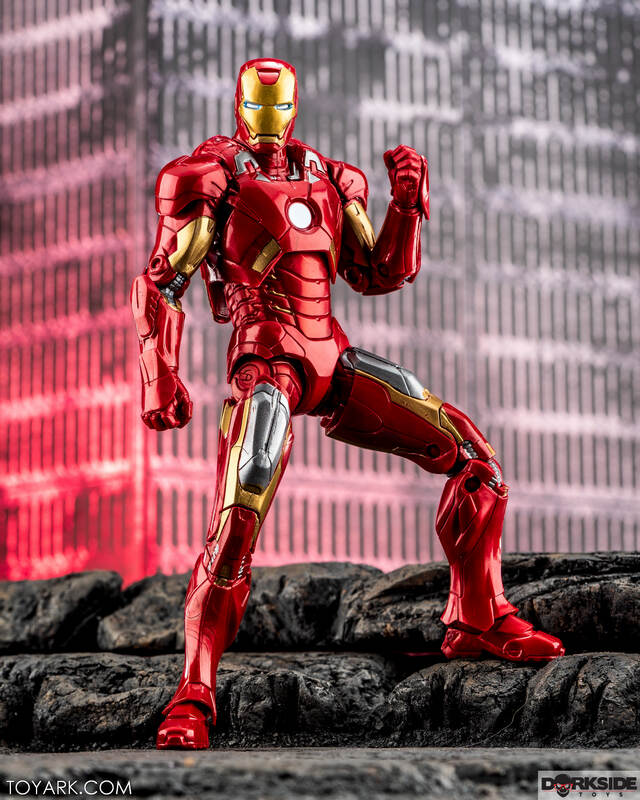 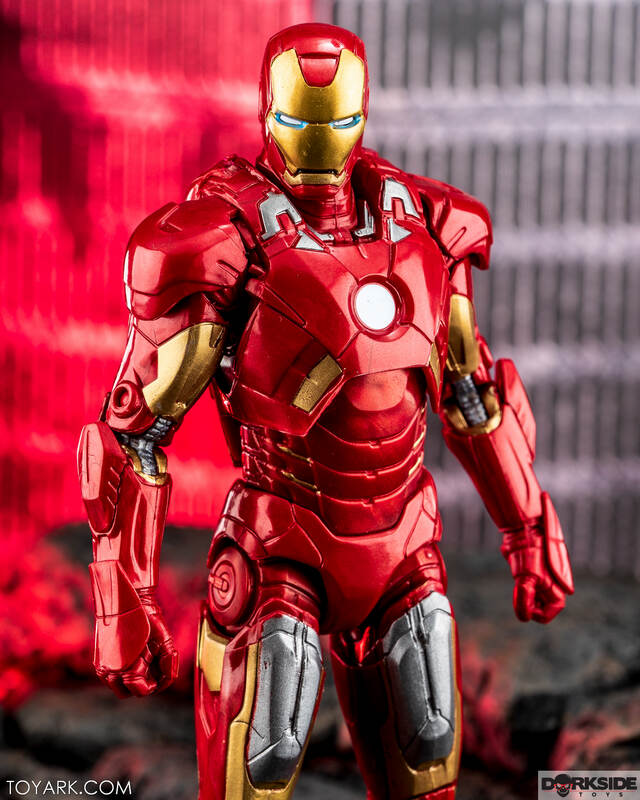 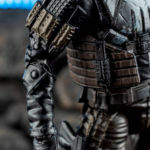 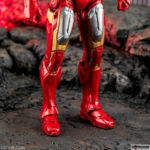 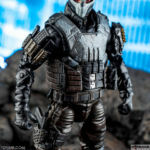 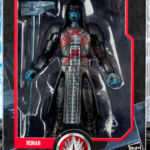 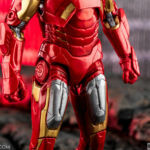 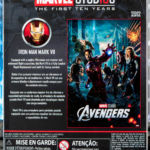 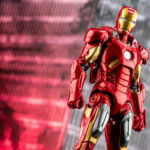 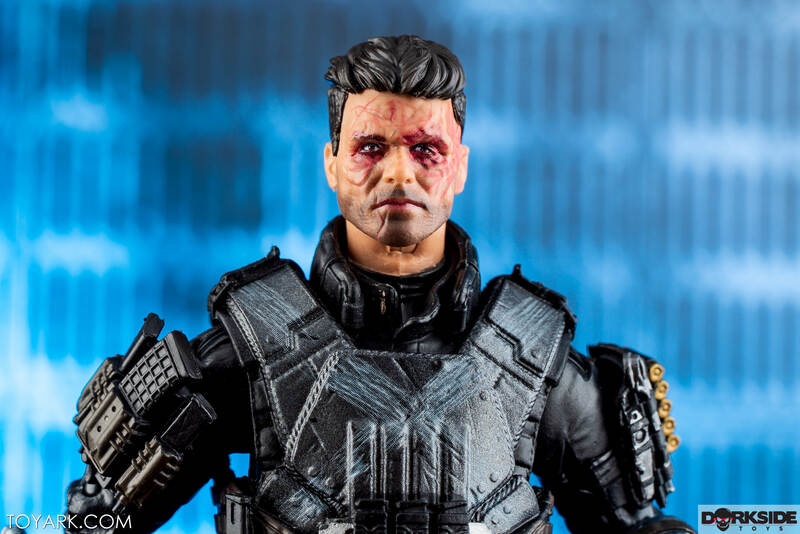 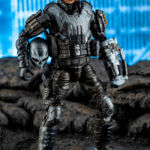 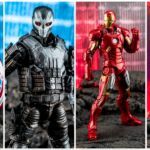 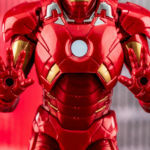 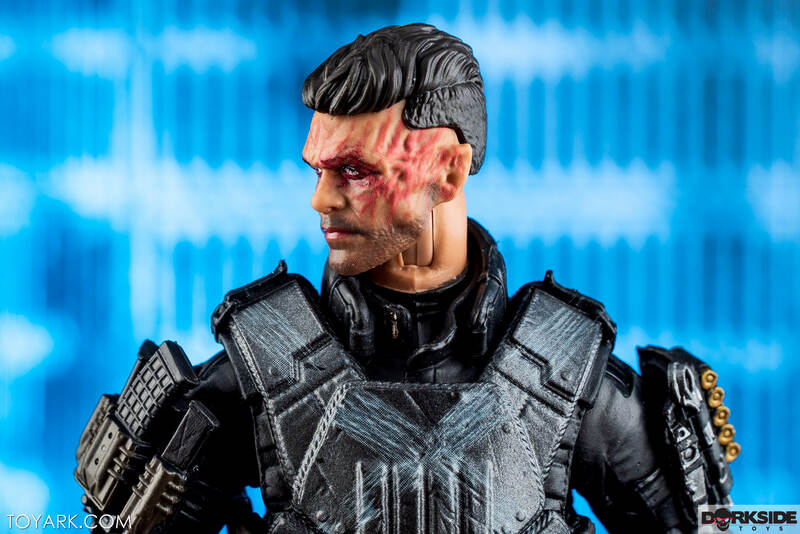 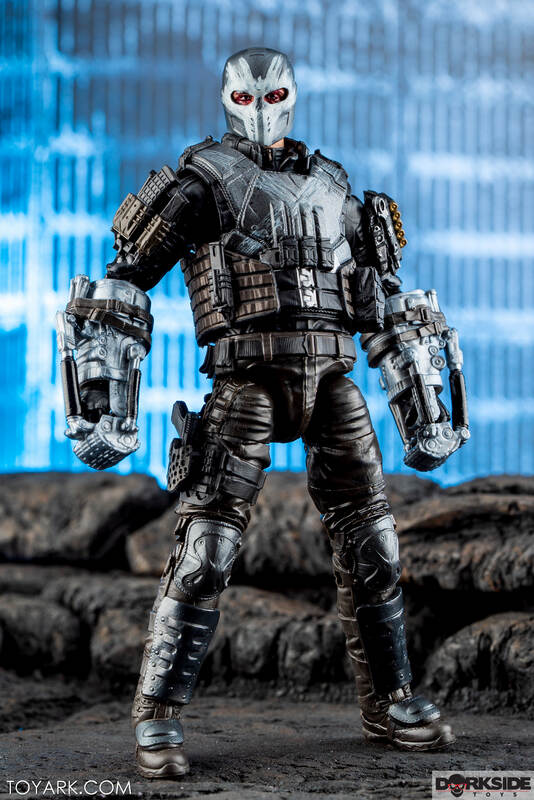 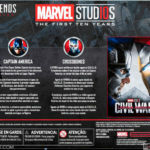 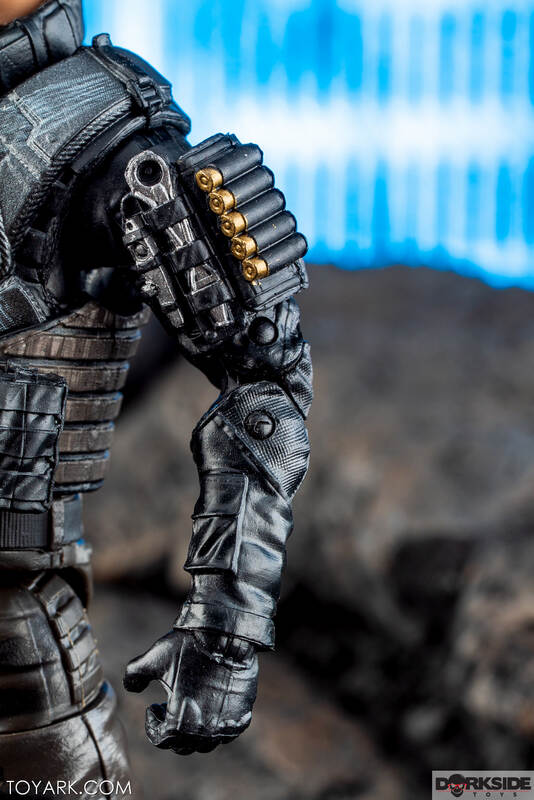 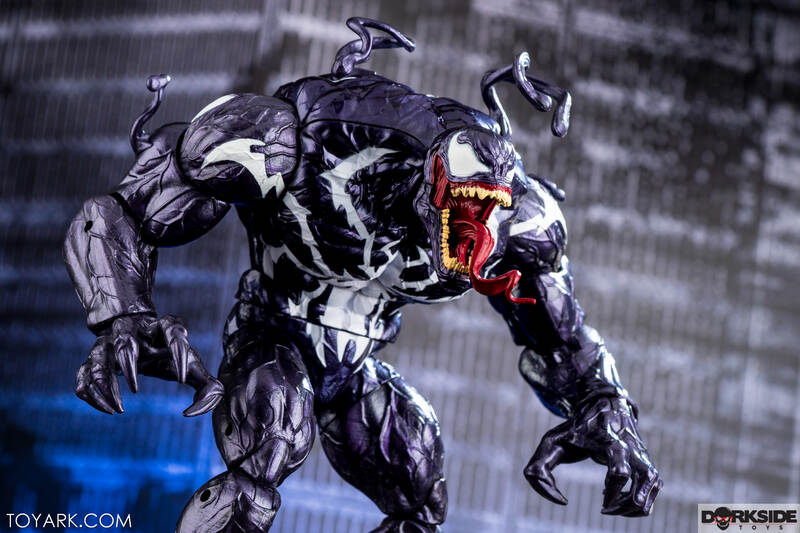 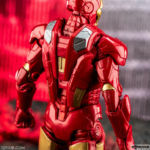 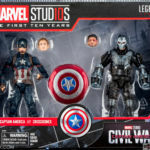 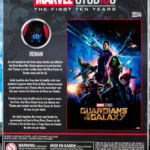 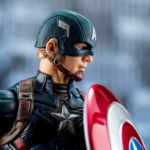 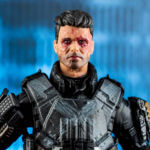 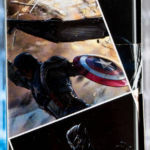 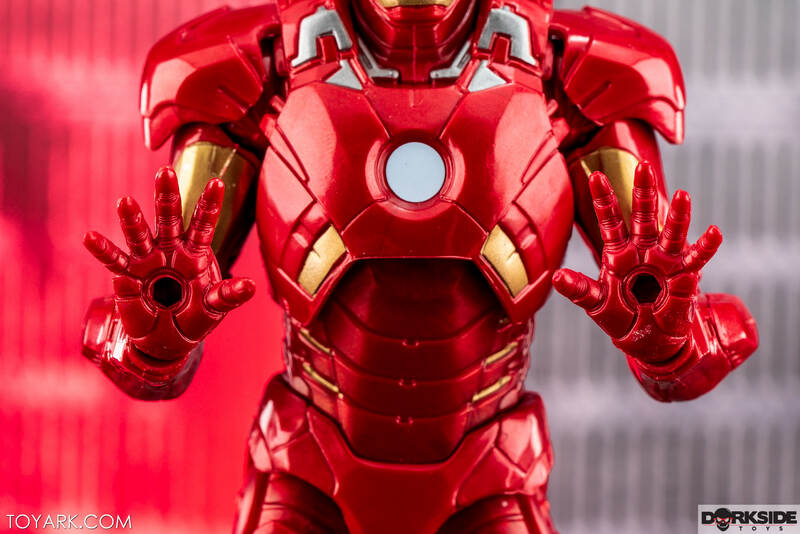 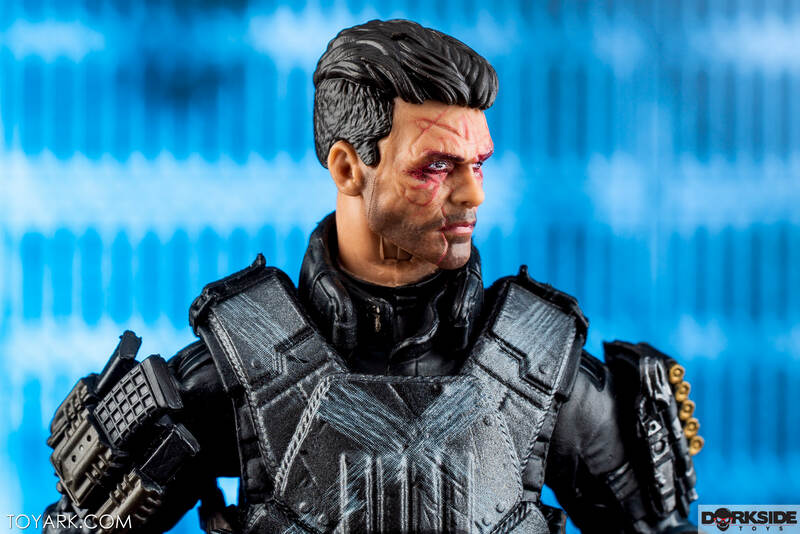 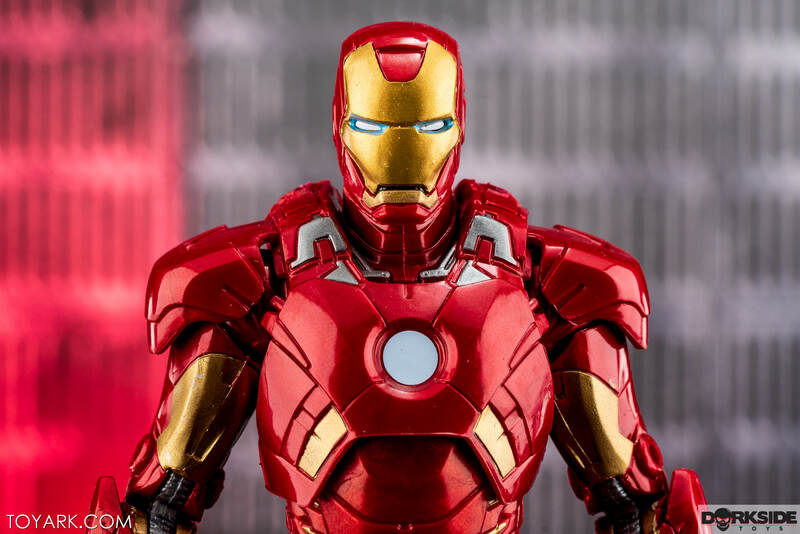 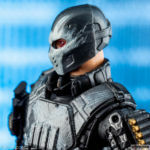 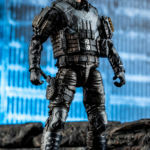 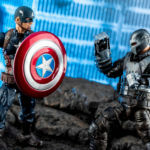 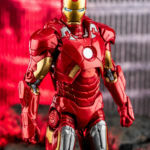 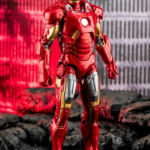 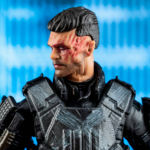 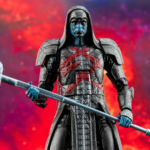 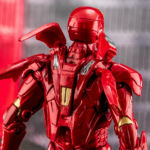 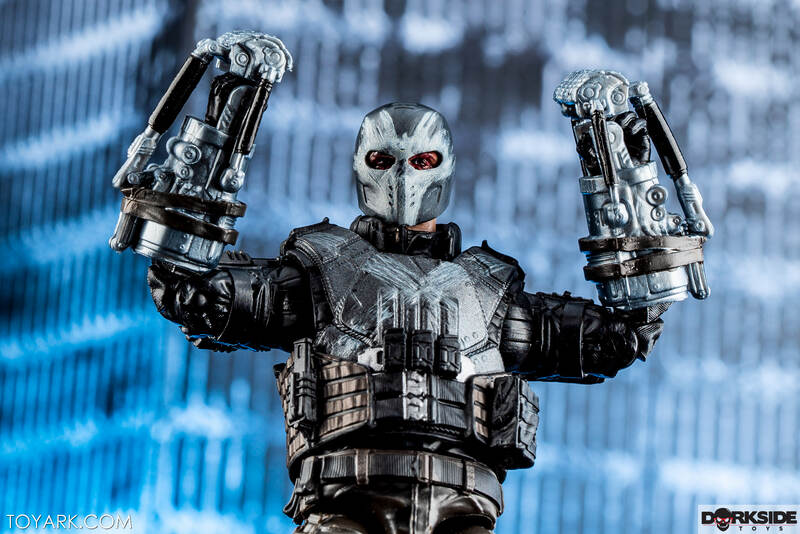 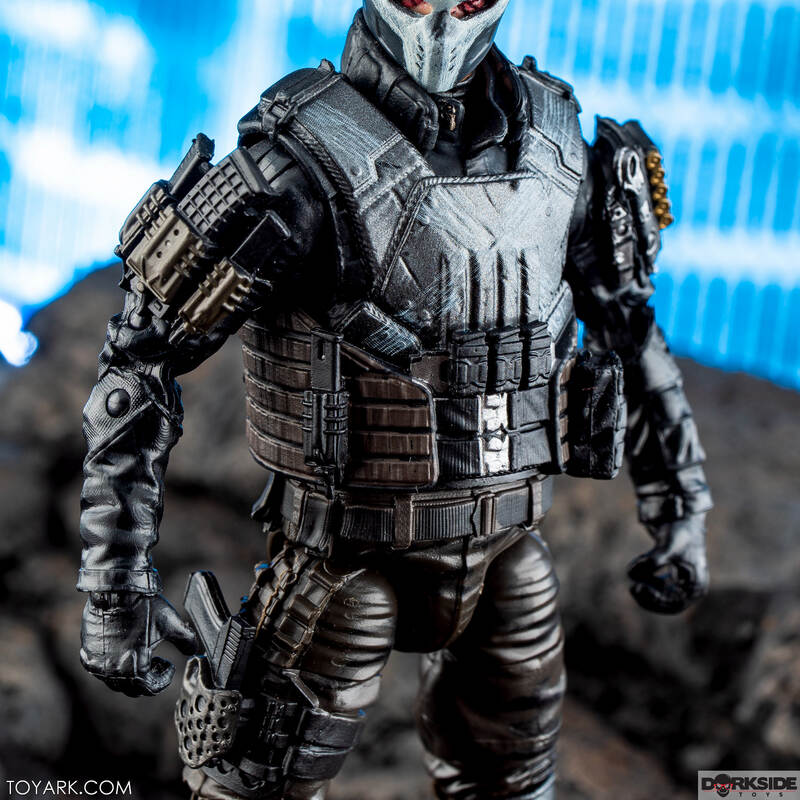 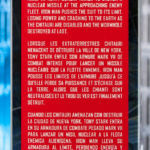 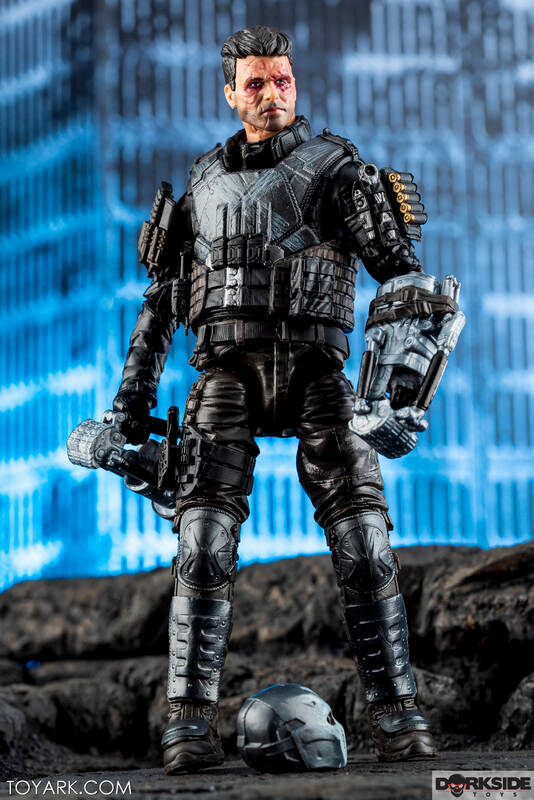 To celebrate the 10th anniversary of the Marvel Cinematic Universe Hasbro is releasing key figures and characters from each movie in a series of special releases. 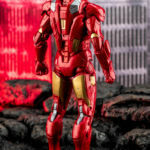 Some are reissues with better paint, some have new heads and accessories and some are all new figures. 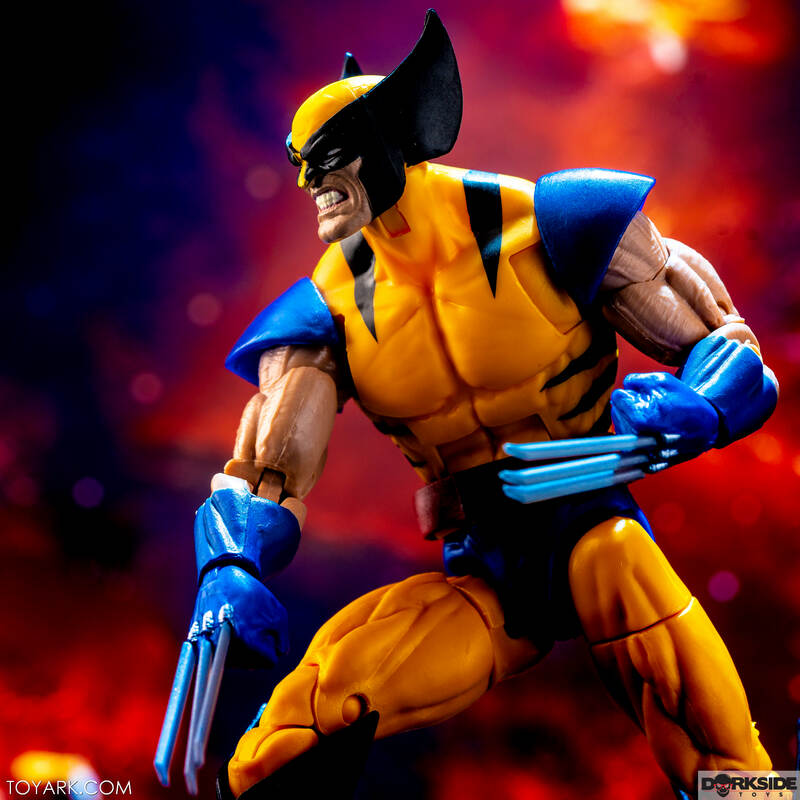 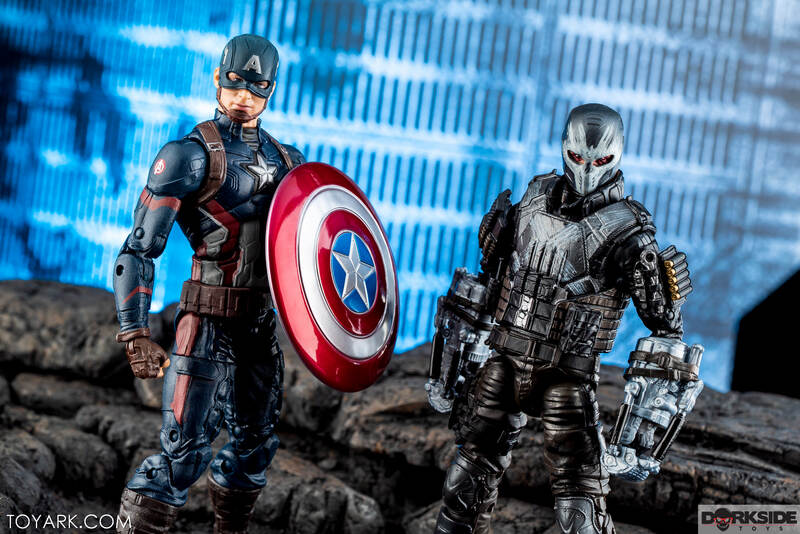 Today we are looking at 3 of the early releases in our ML catch up week. 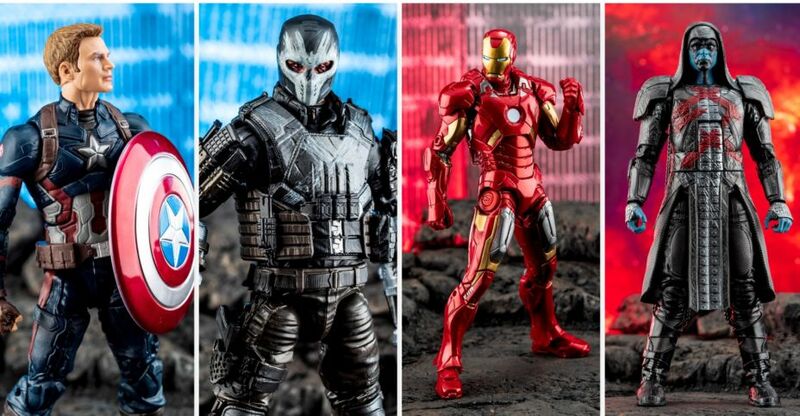 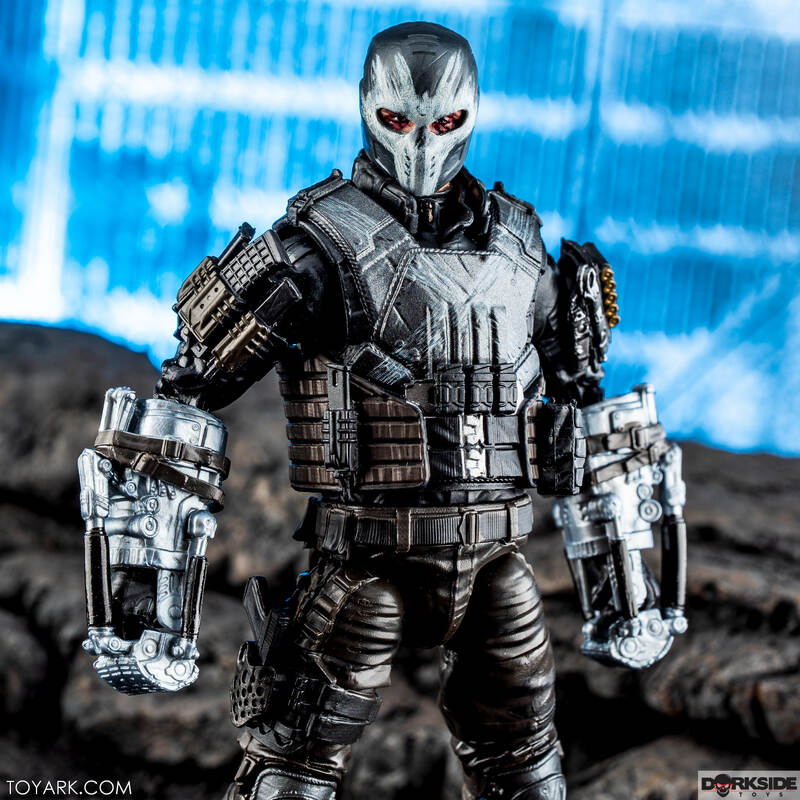 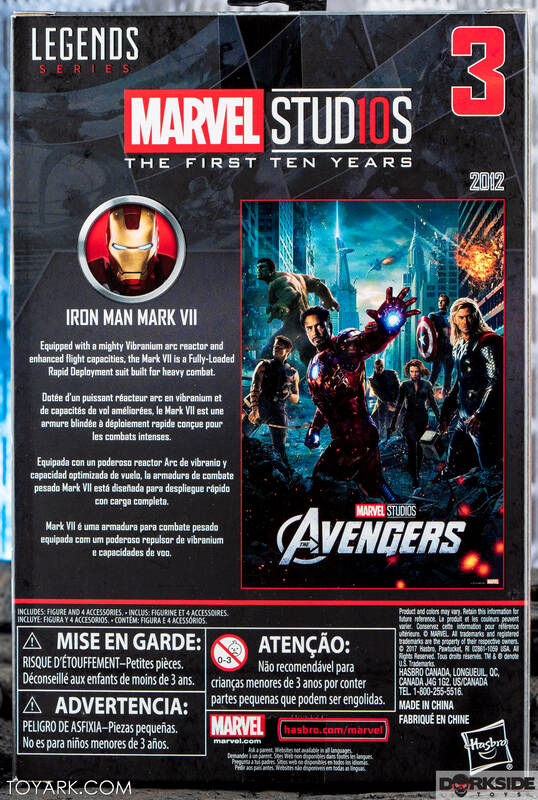 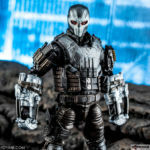 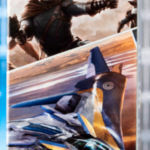 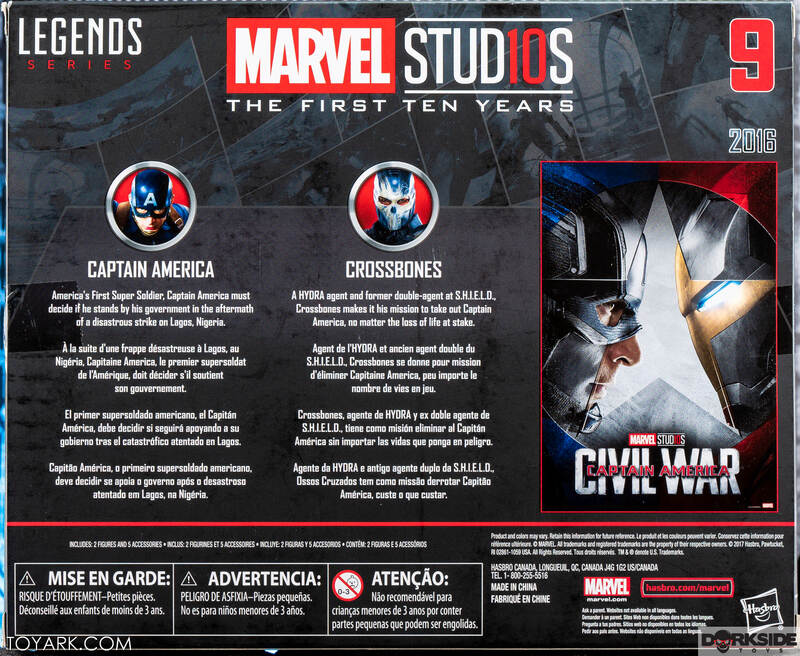 Iron Man Mk 7 from the first Avengers Movie, Ronan the Accuser from Guardians of the Galaxy and a Captain America / Crossbones 2 pack from Captain America Civil War. 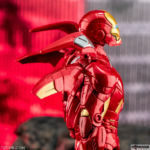 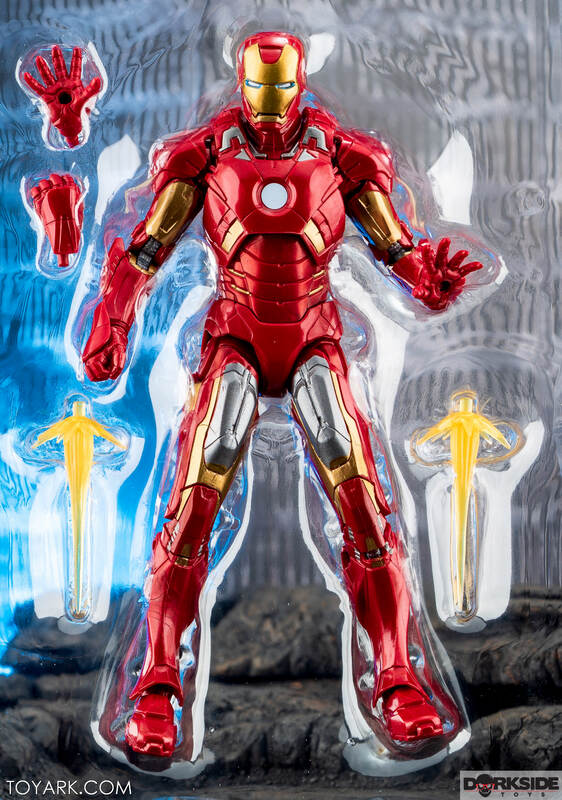 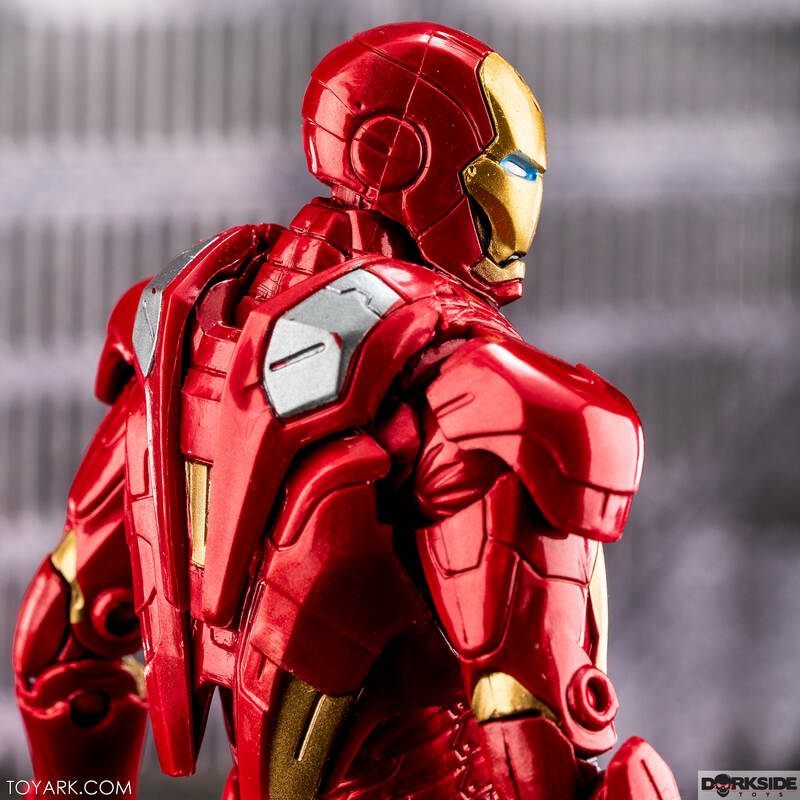 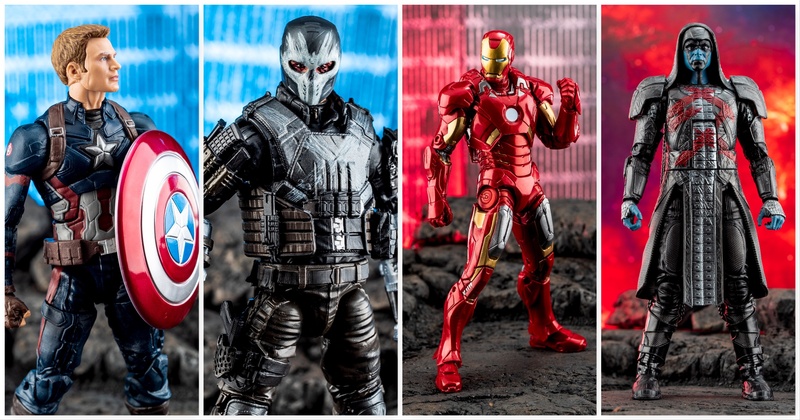 Iron Man and the Cap/Bones pack are great, giving upgraded figs and awesome paint on all 3. 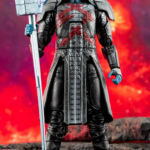 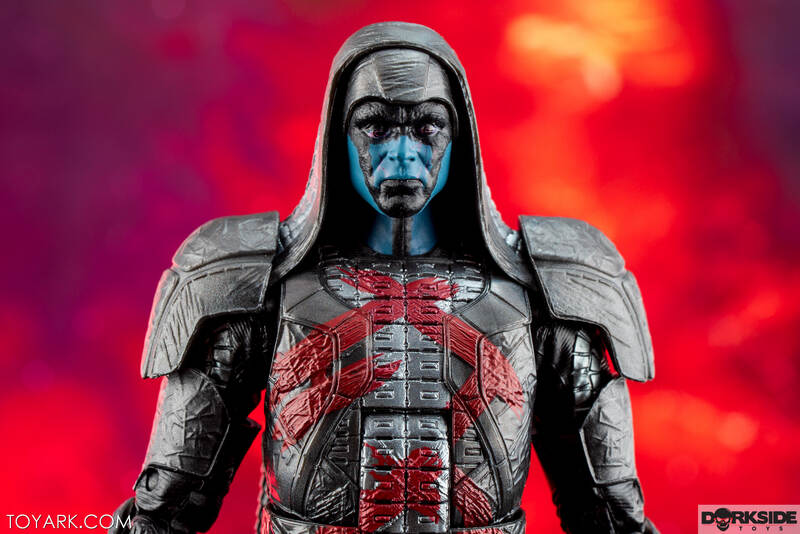 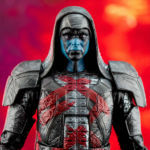 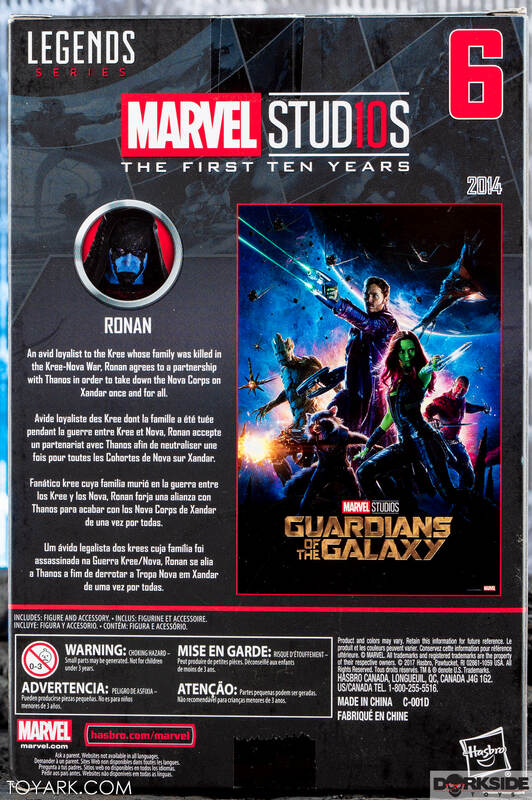 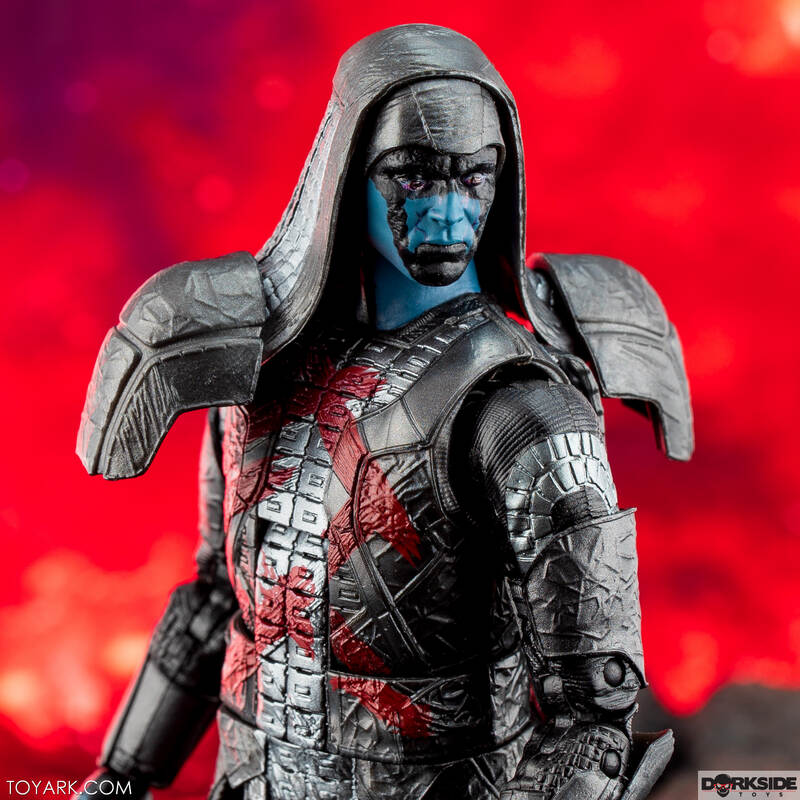 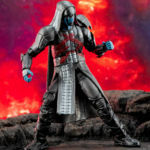 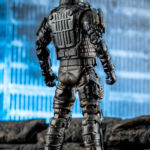 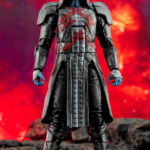 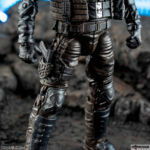 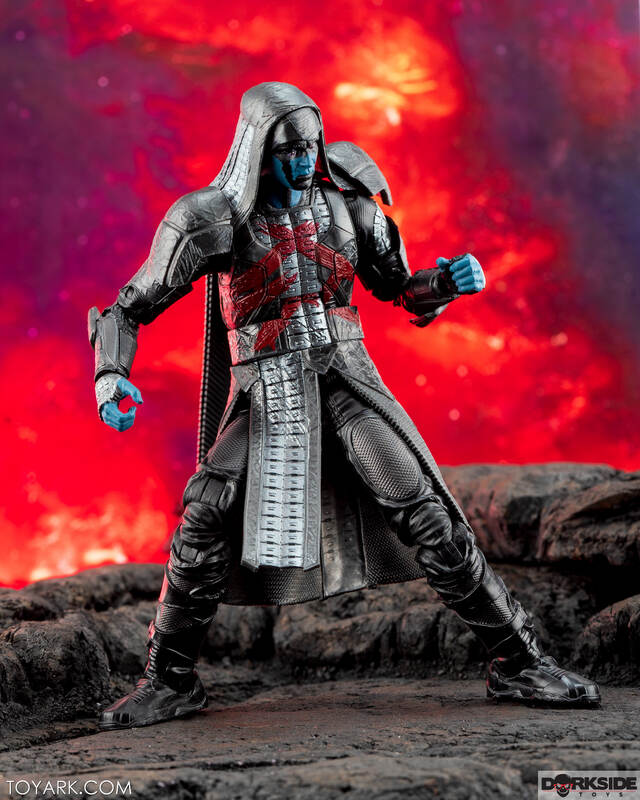 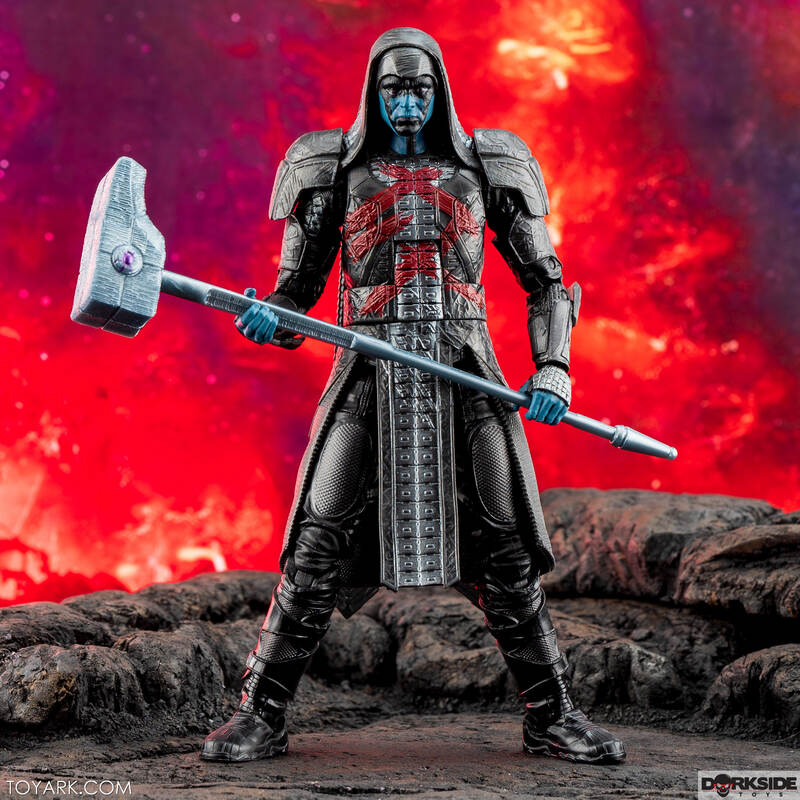 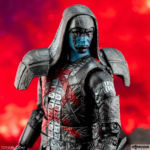 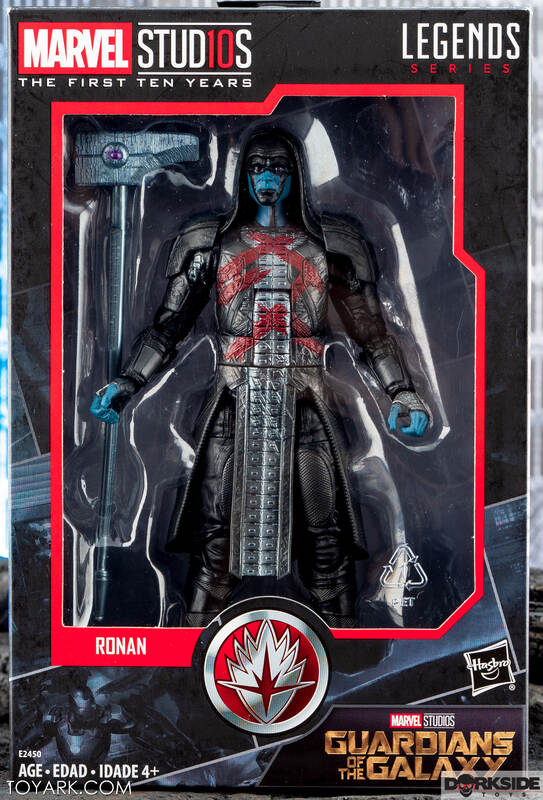 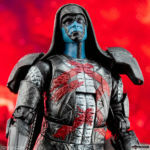 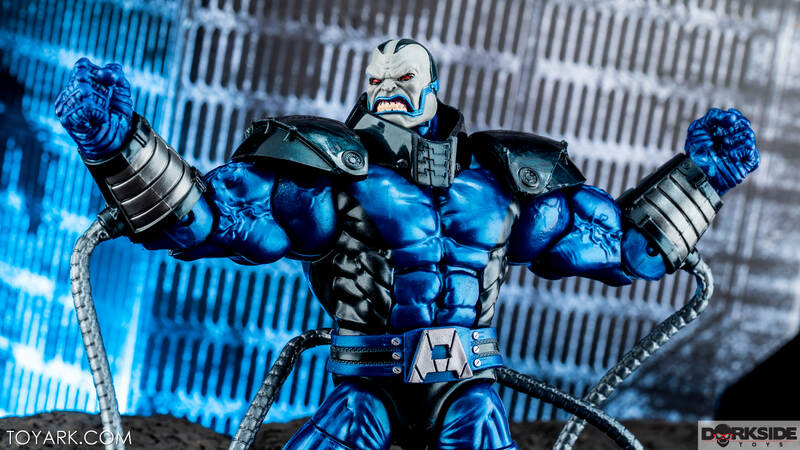 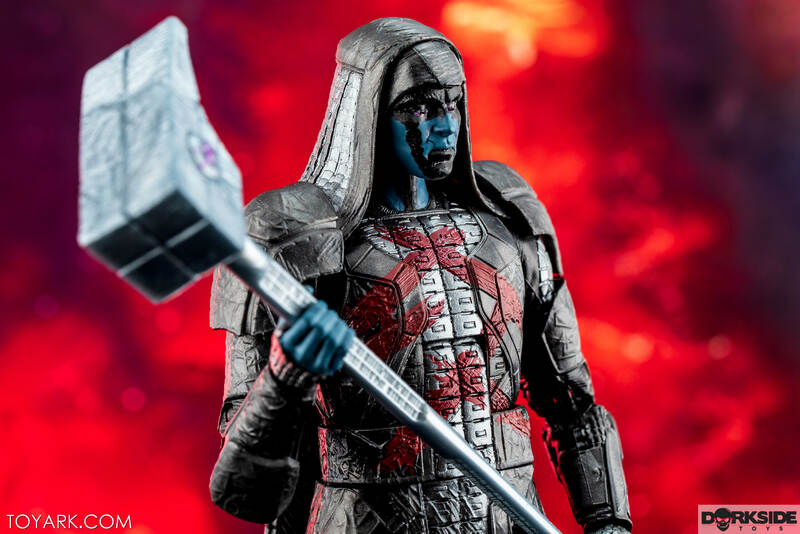 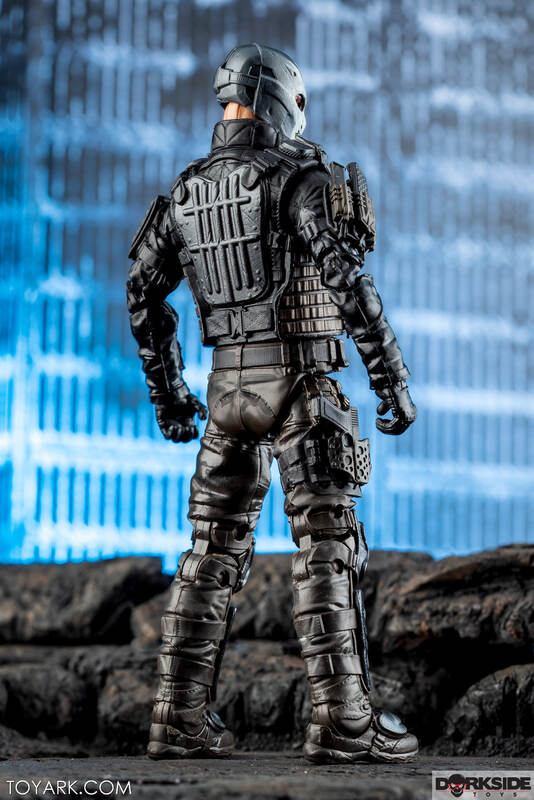 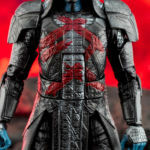 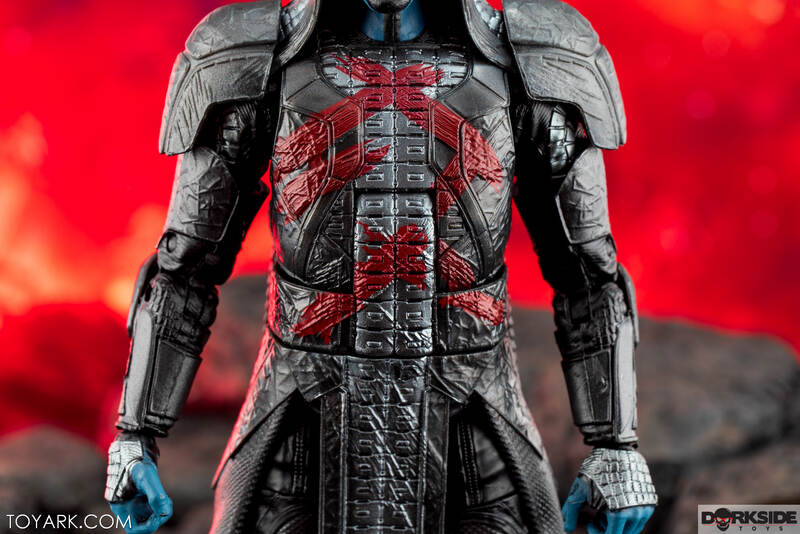 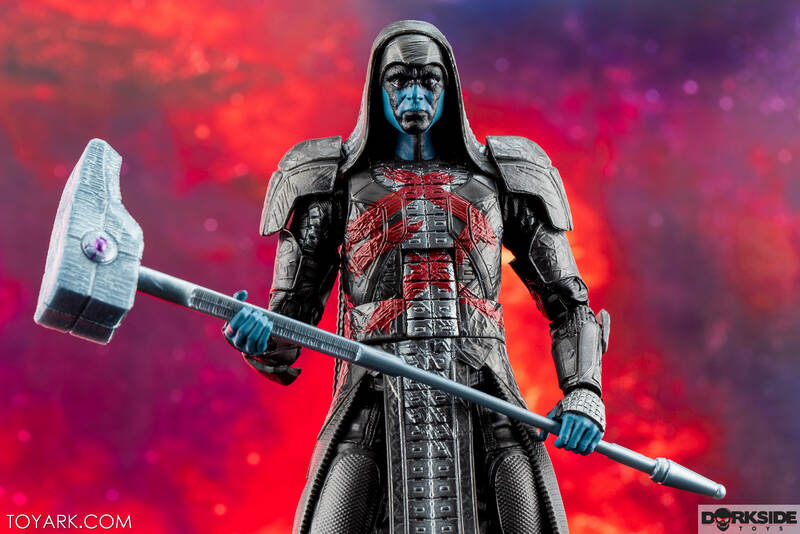 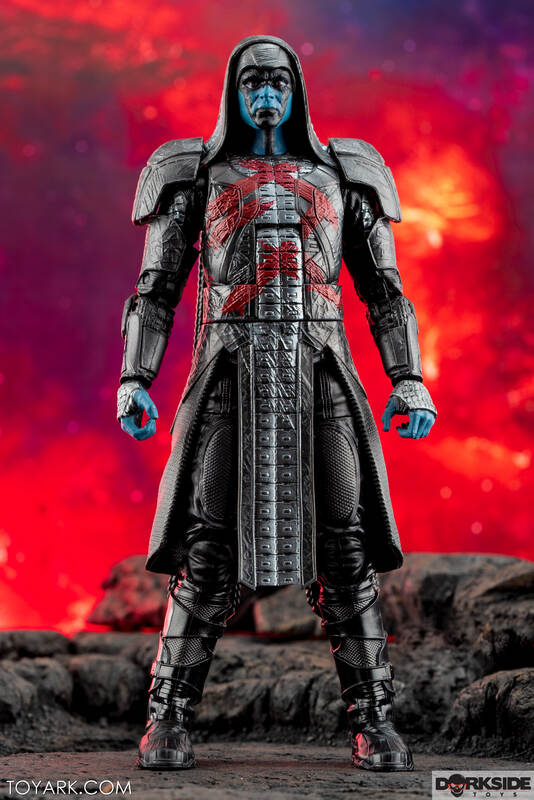 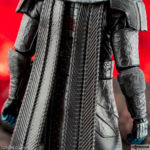 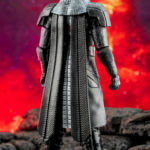 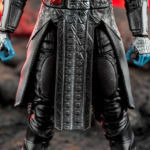 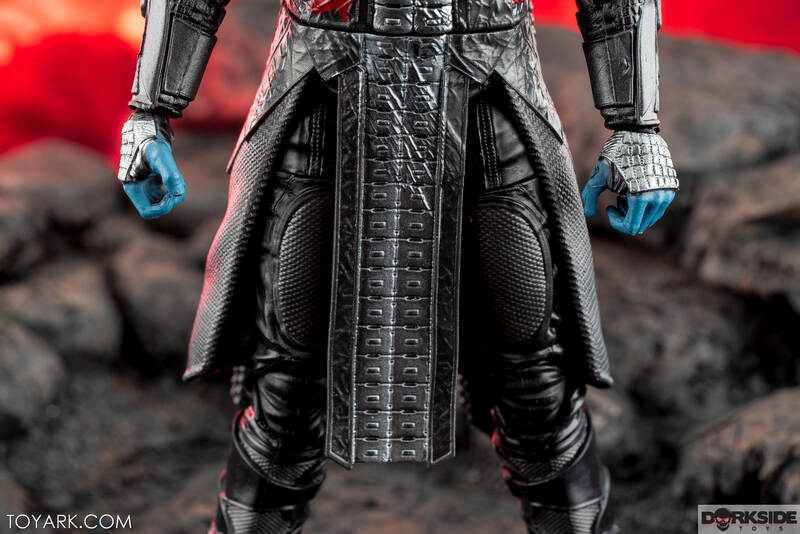 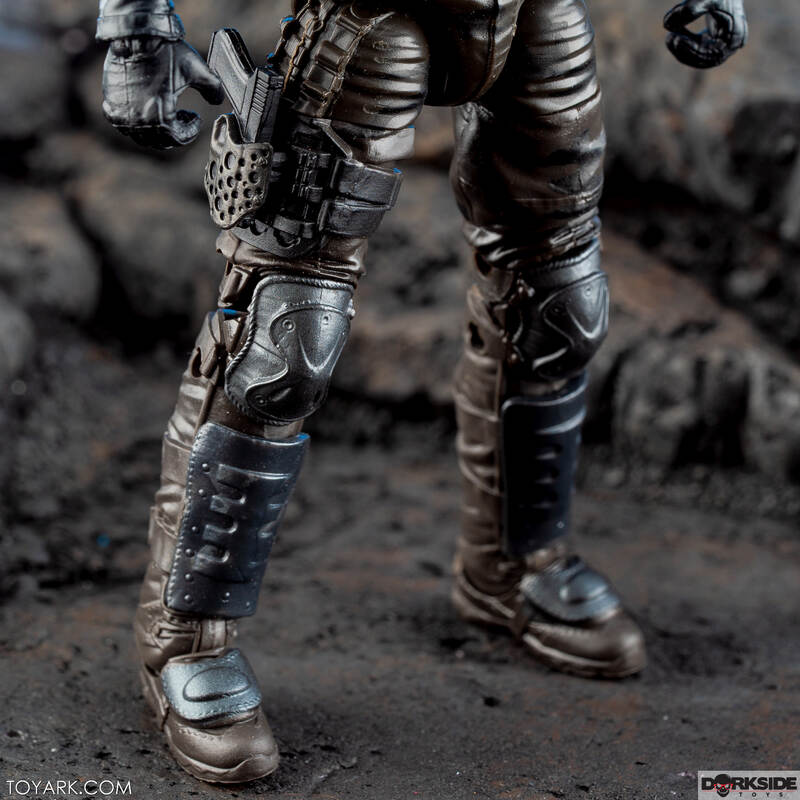 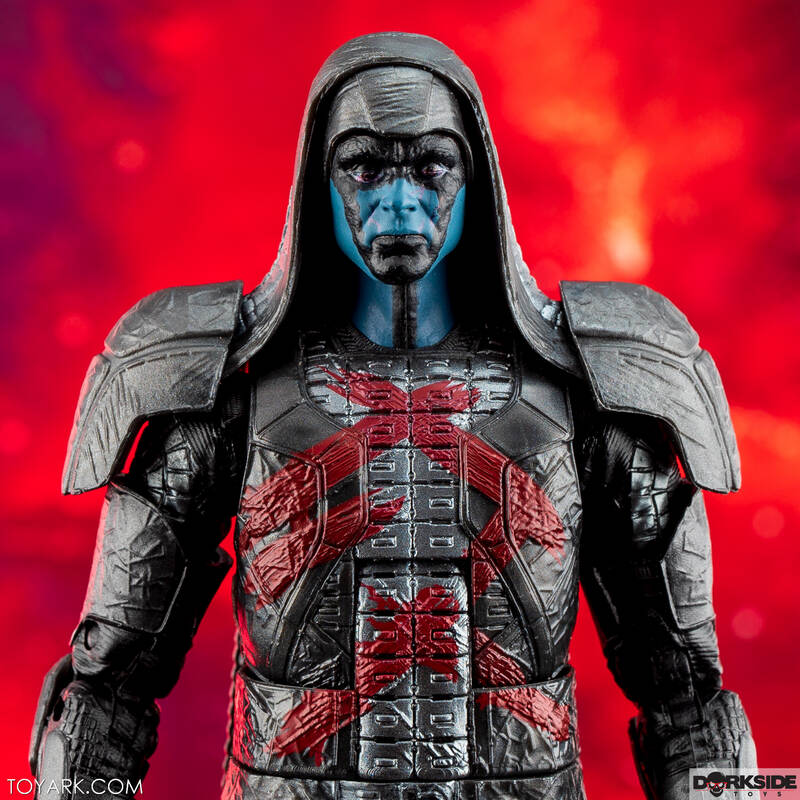 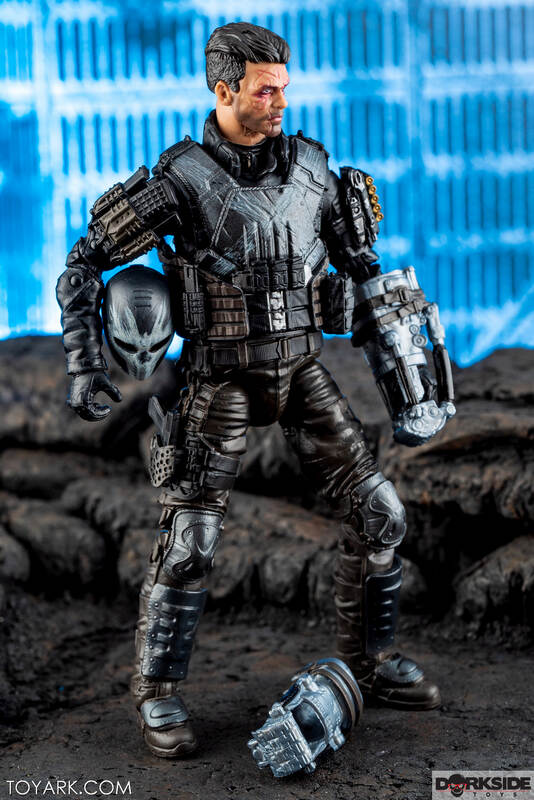 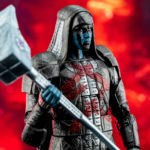 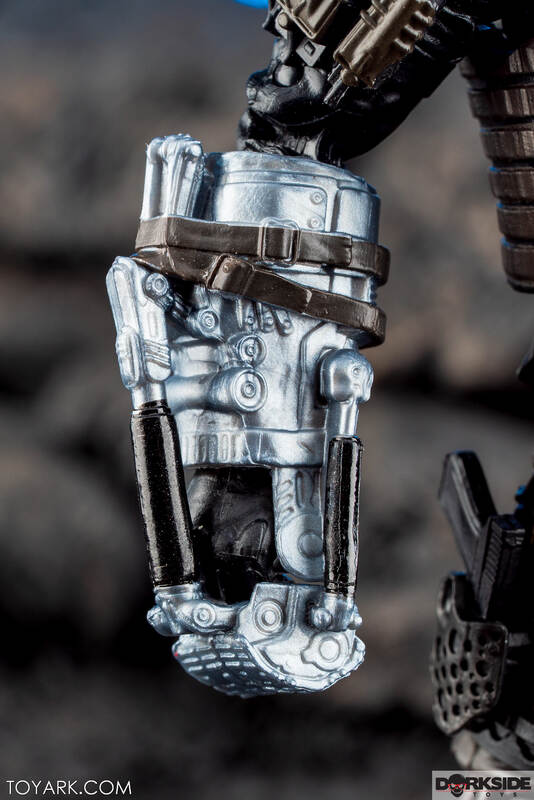 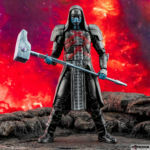 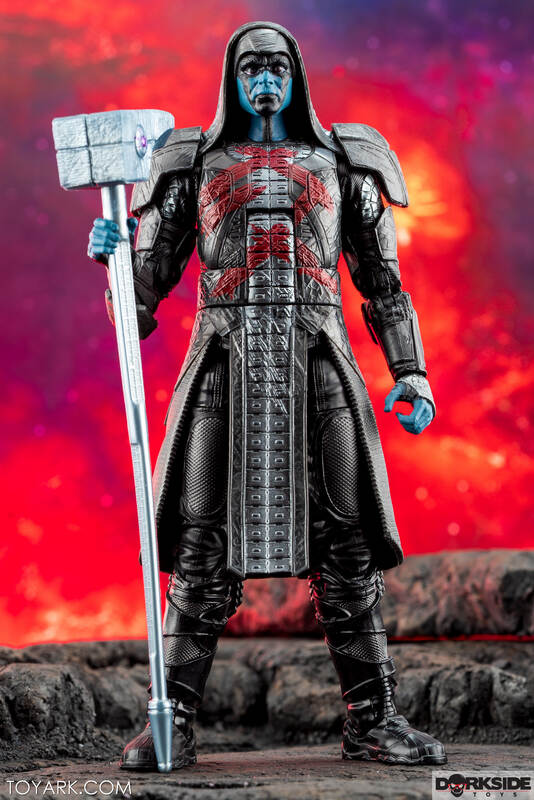 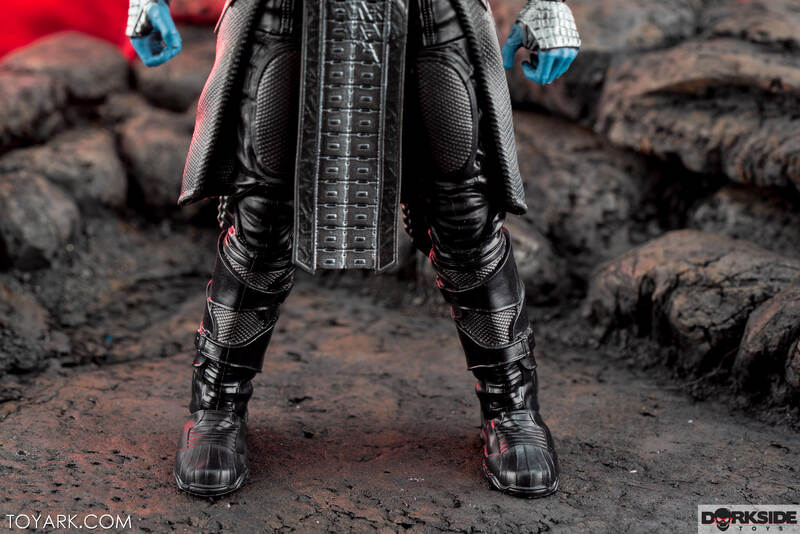 The Ronan figure is good until you get it in hand, his shoulder pads are attached to his hood. 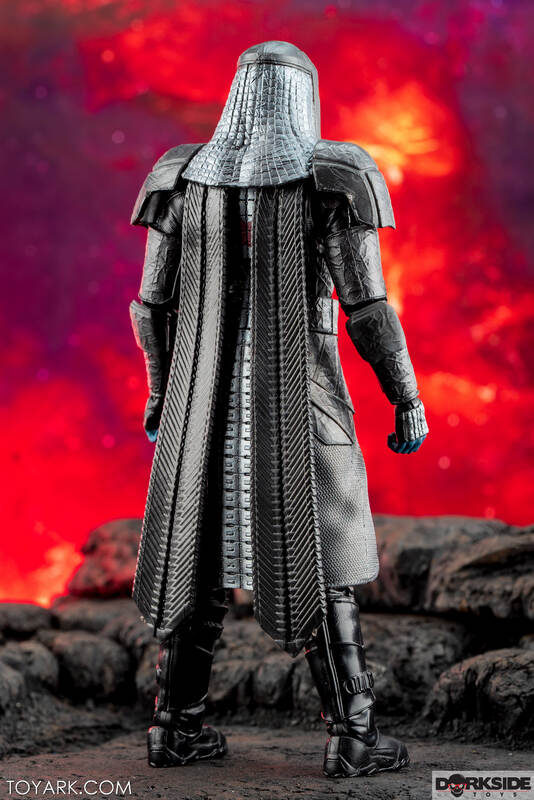 So if you turn his head, it looks ridiculous. 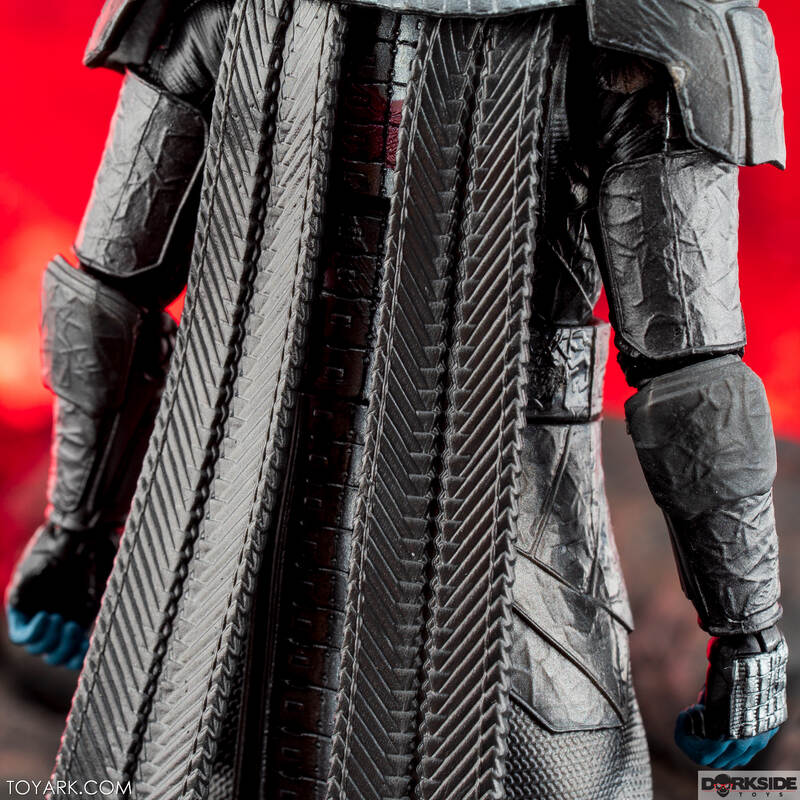 Looking straight on, it’s a really well done figure though. 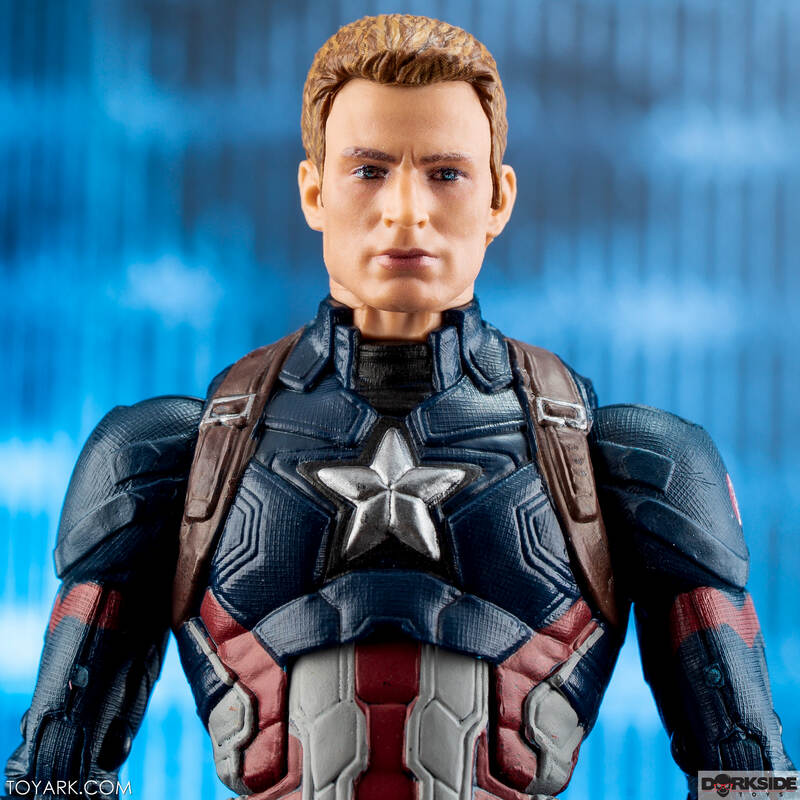 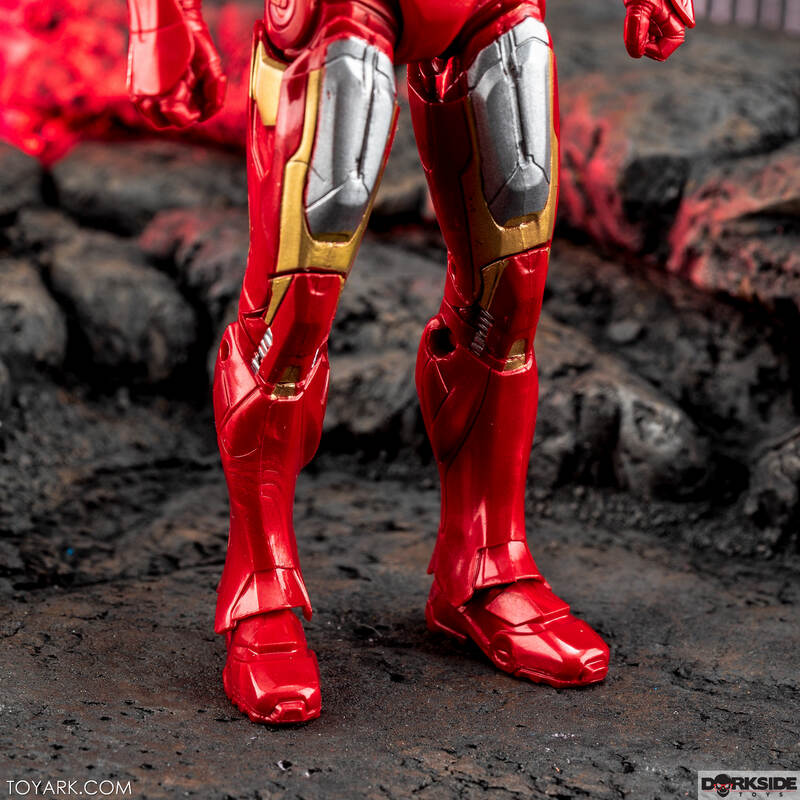 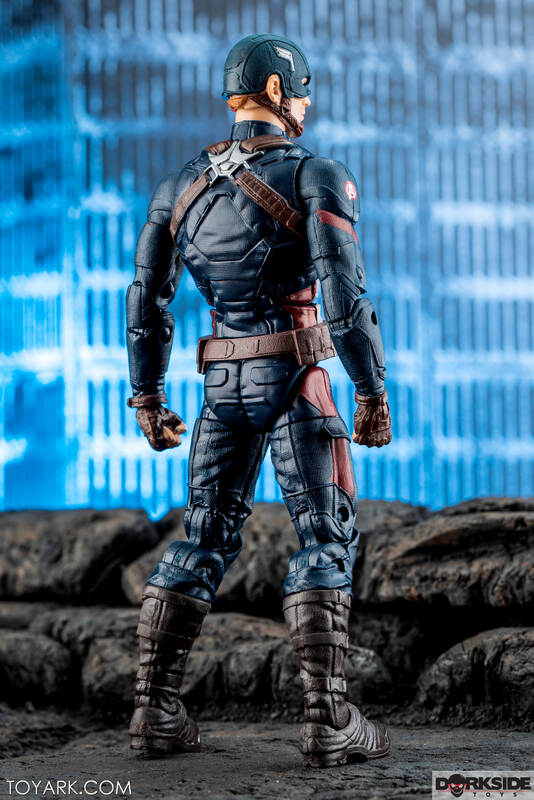 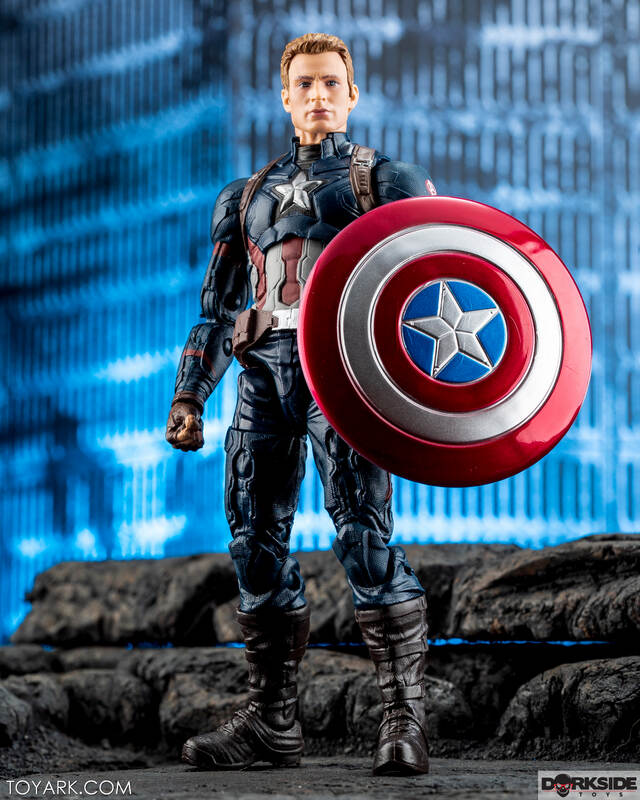 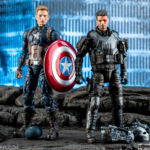 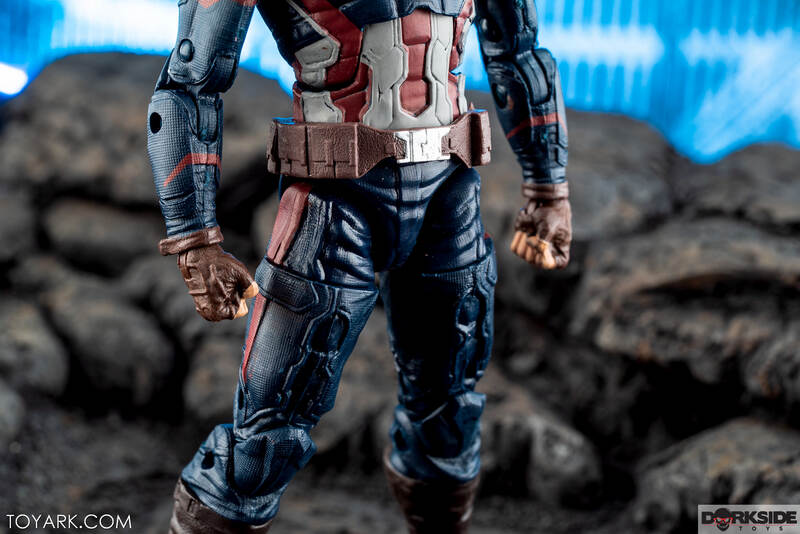 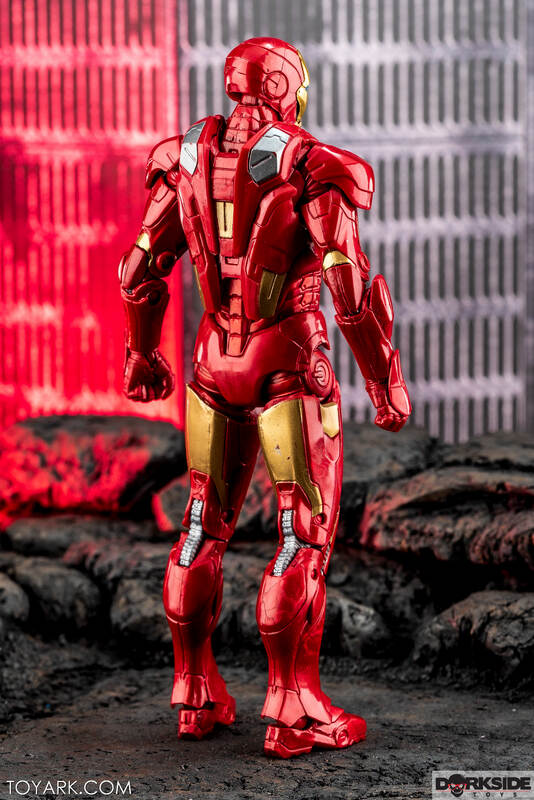 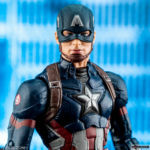 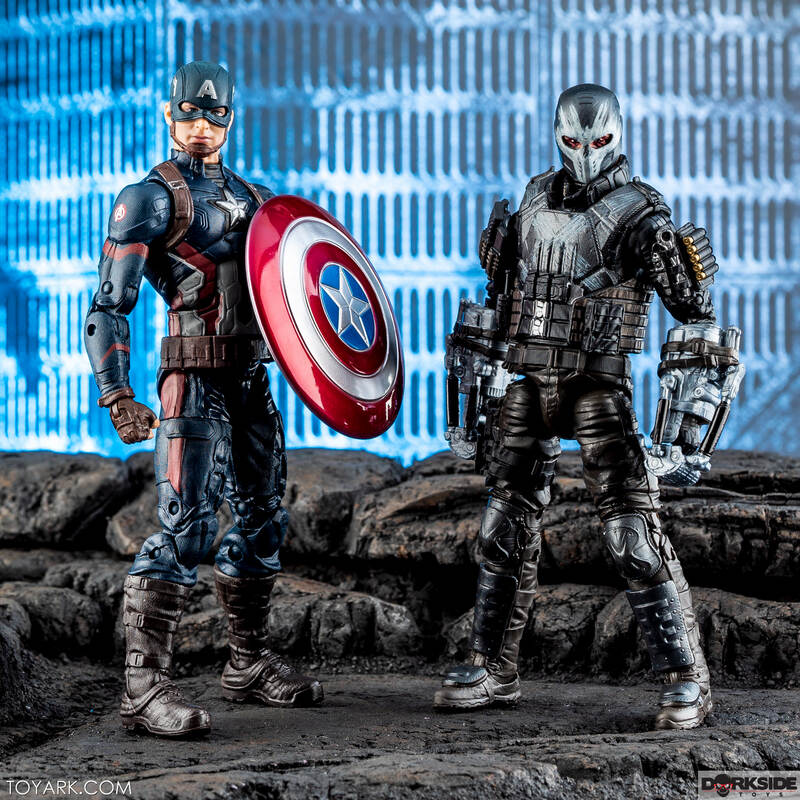 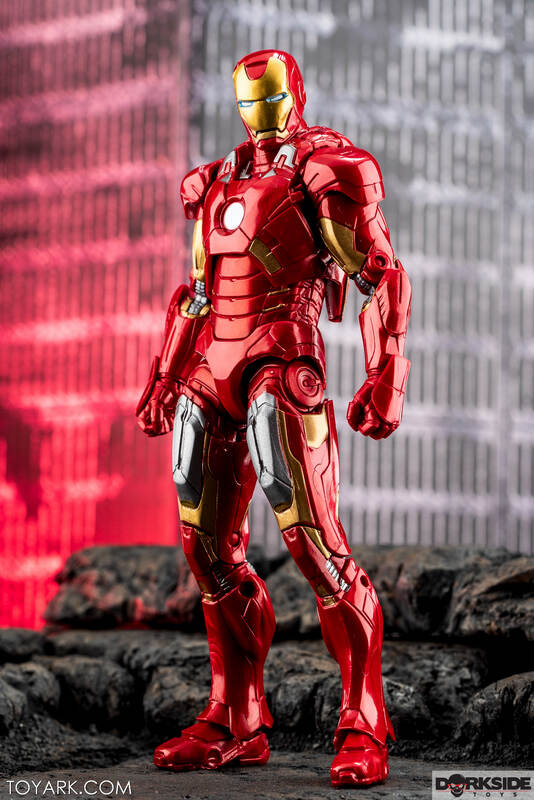 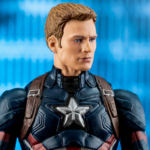 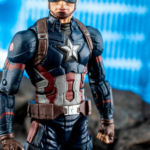 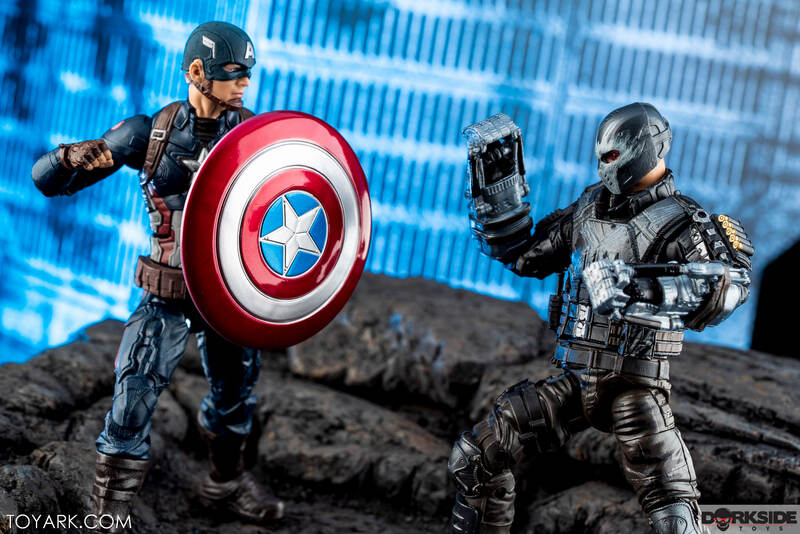 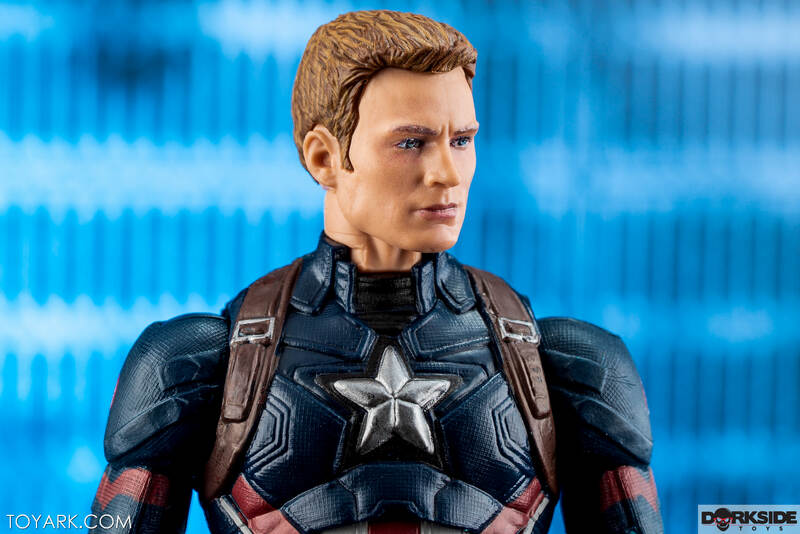 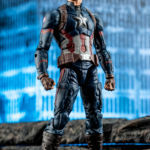 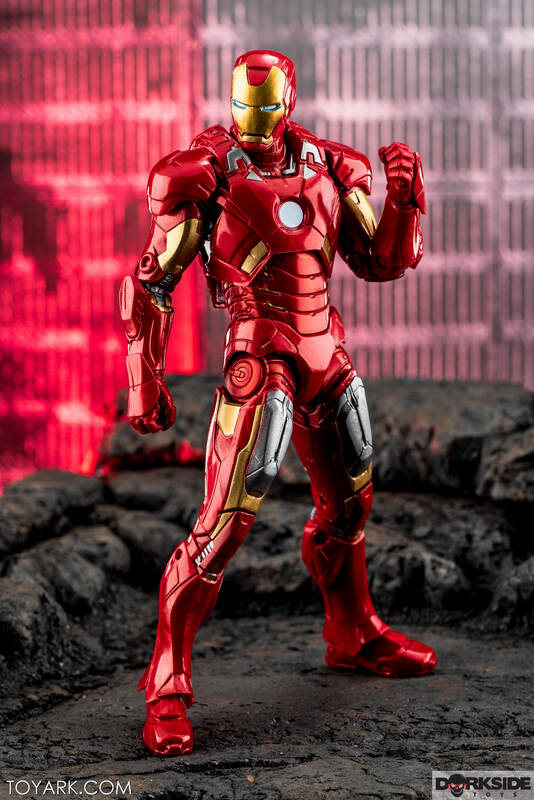 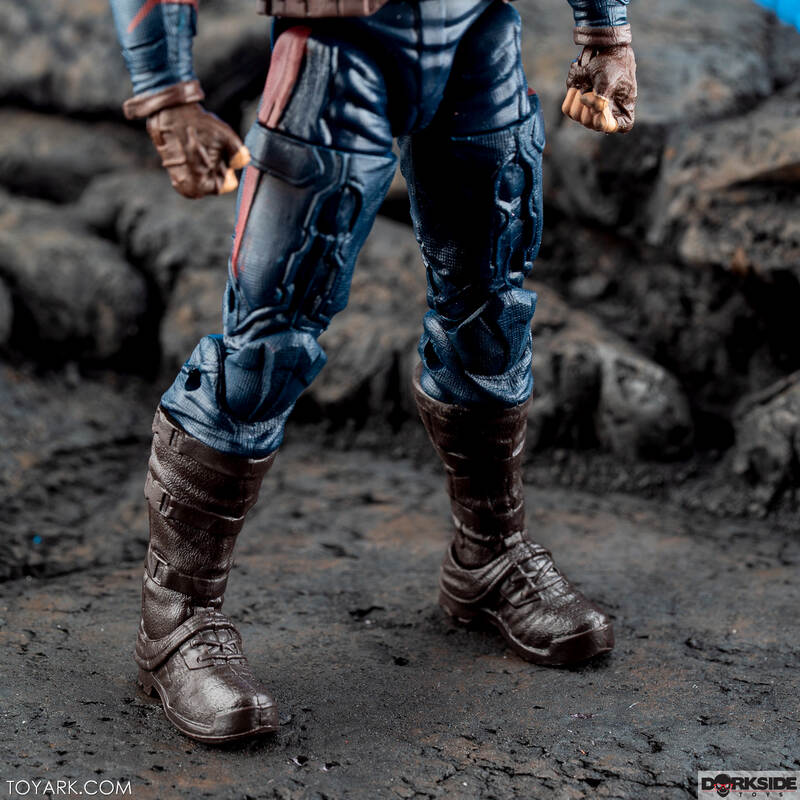 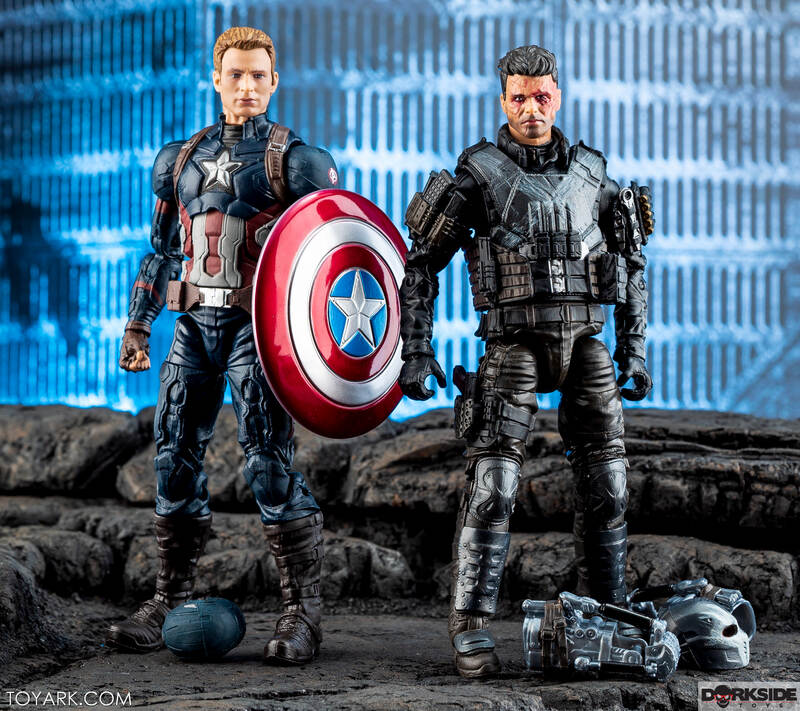 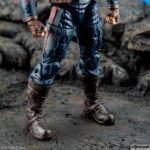 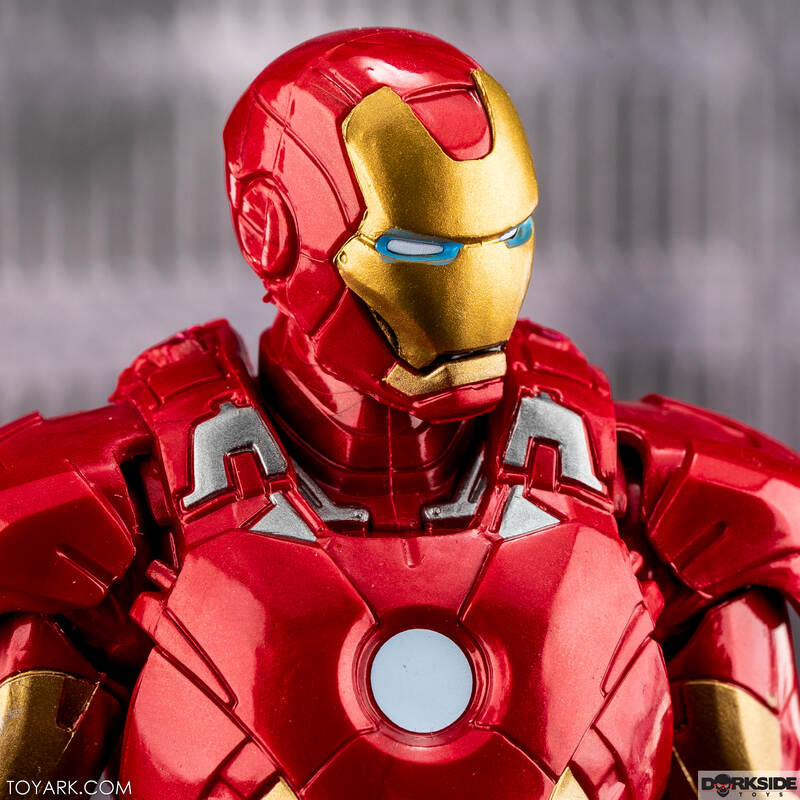 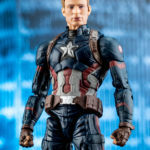 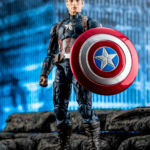 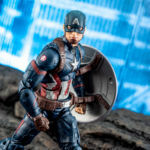 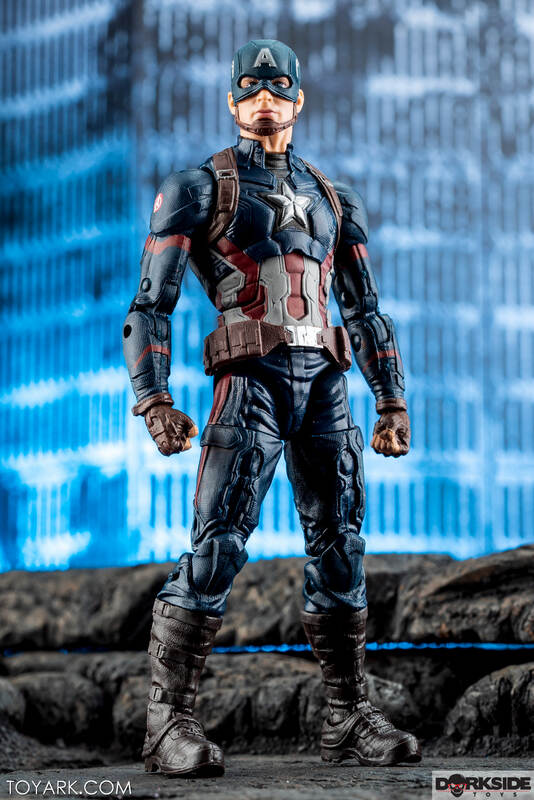 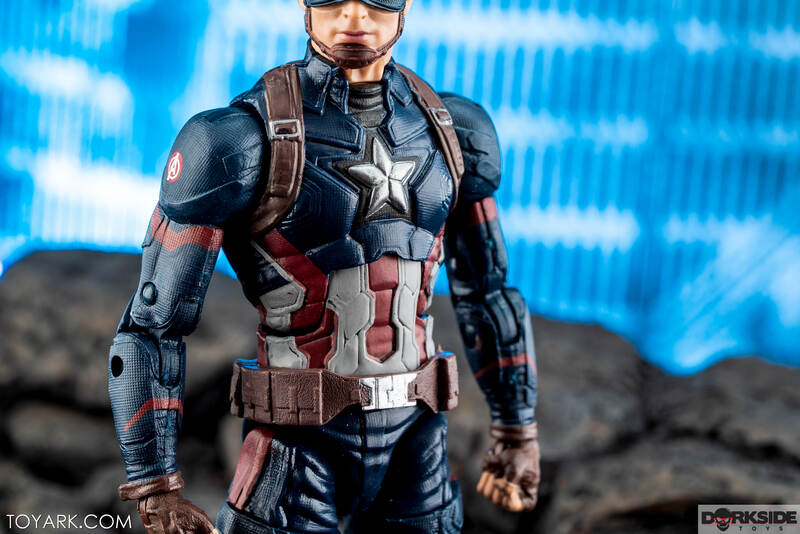 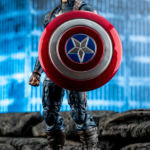 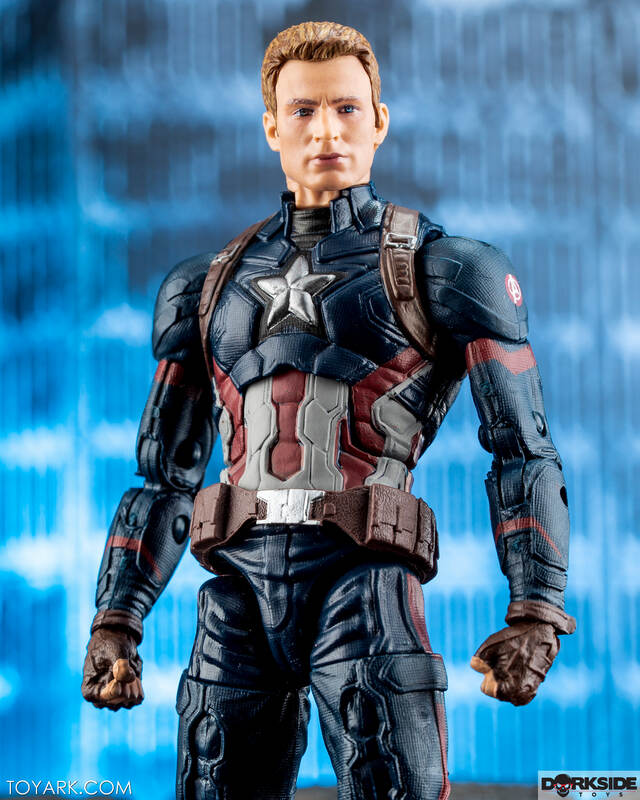 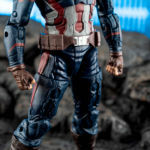 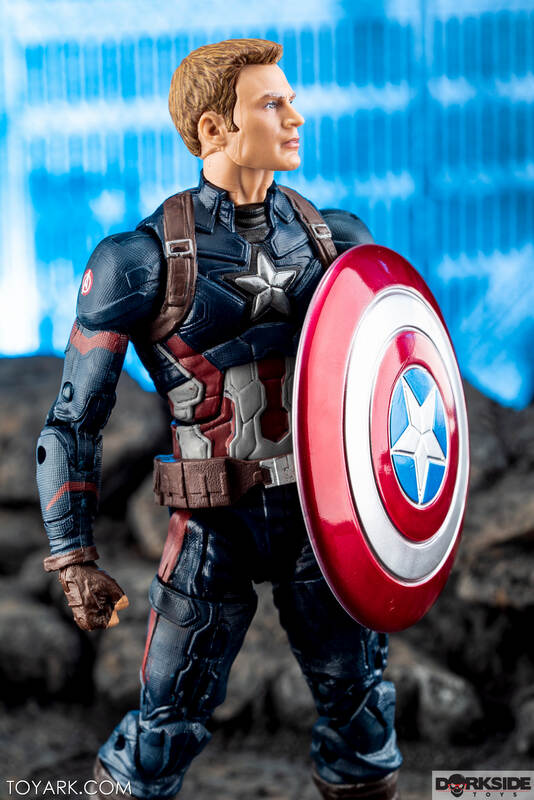 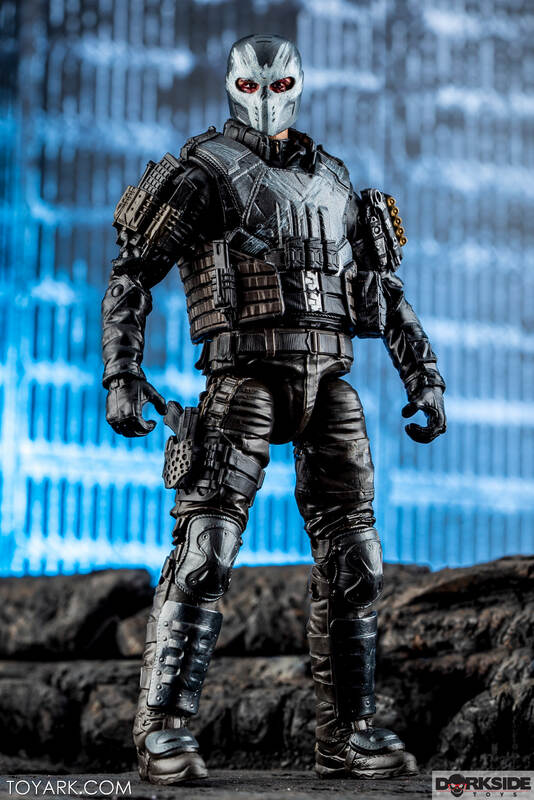 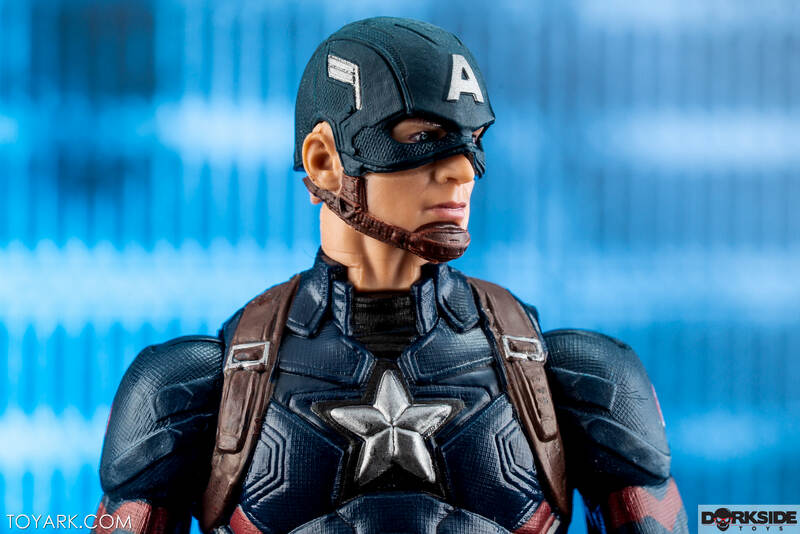 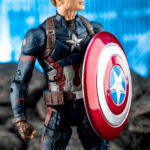 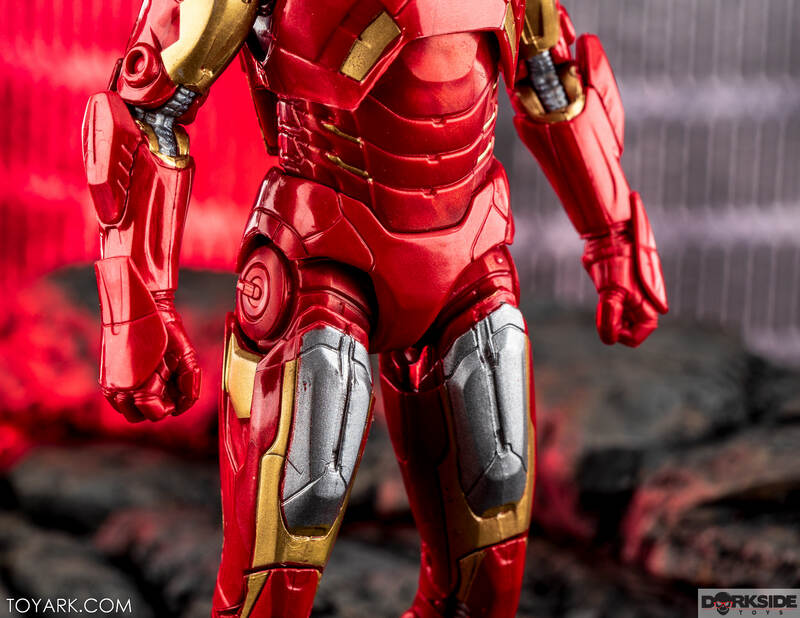 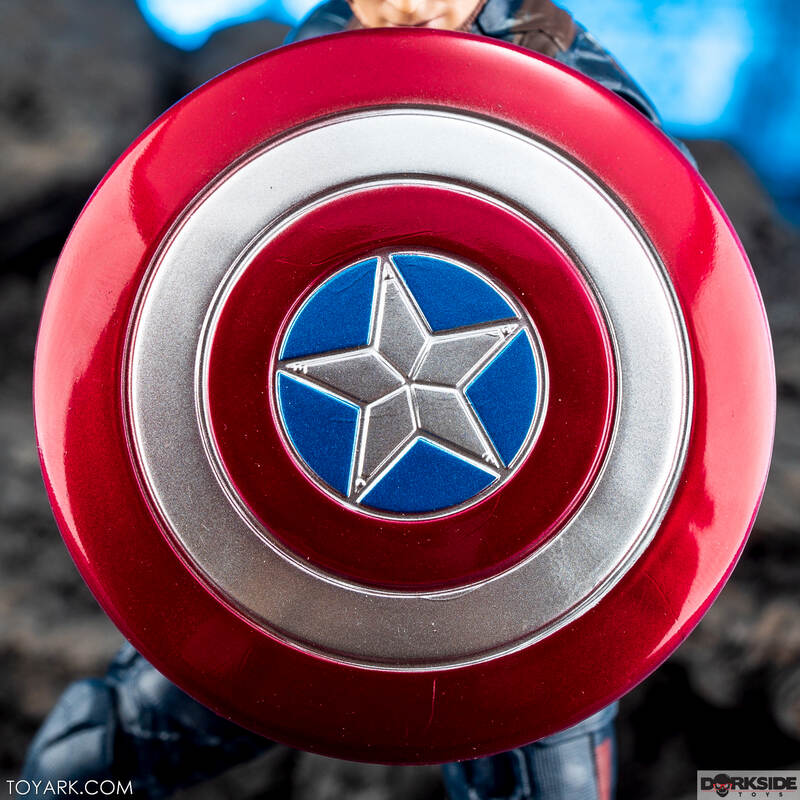 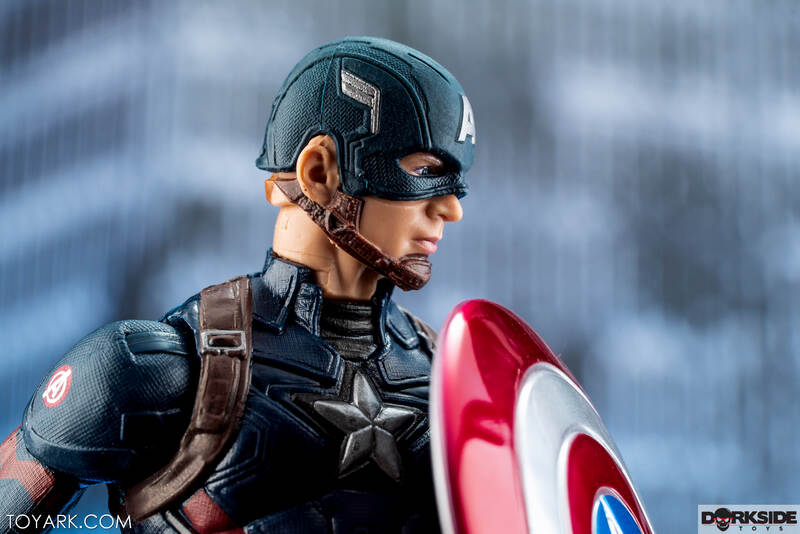 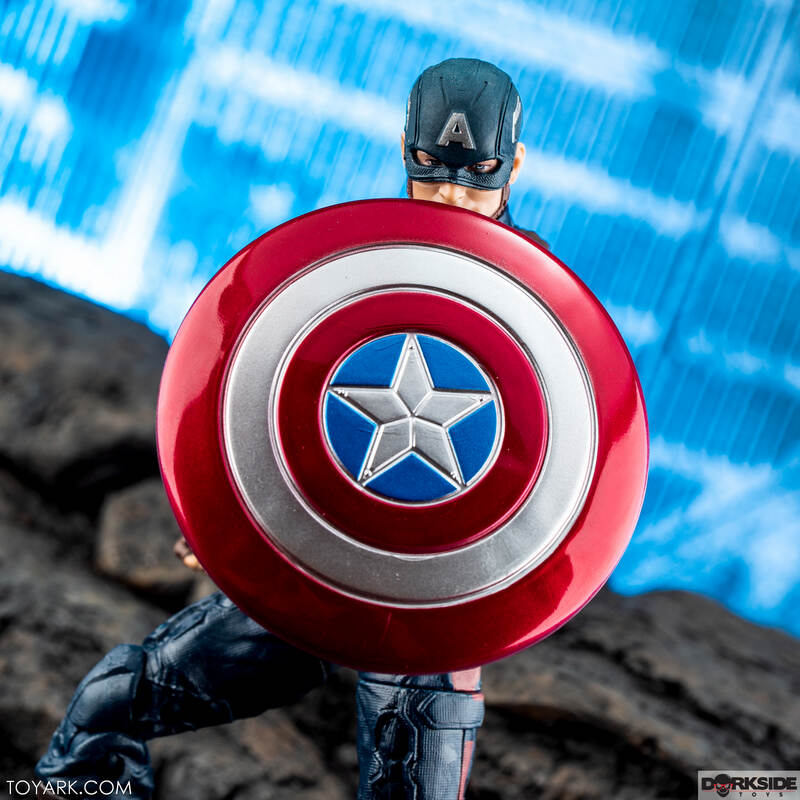 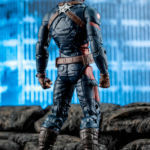 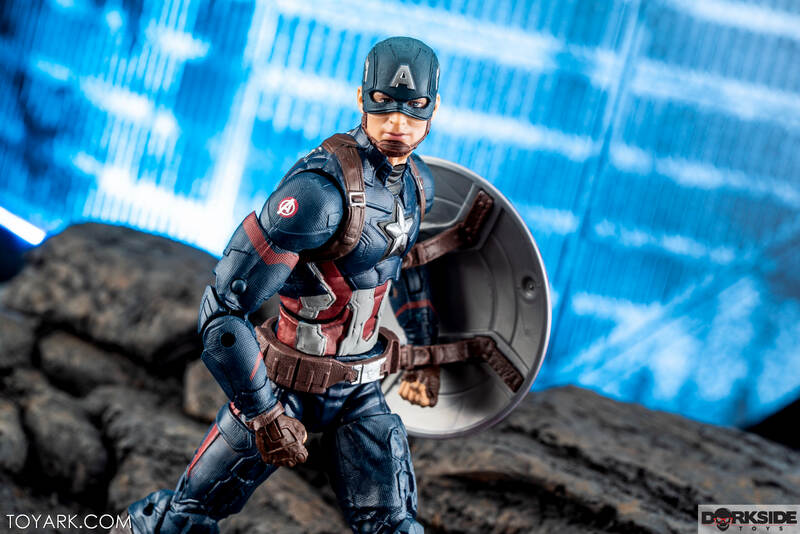 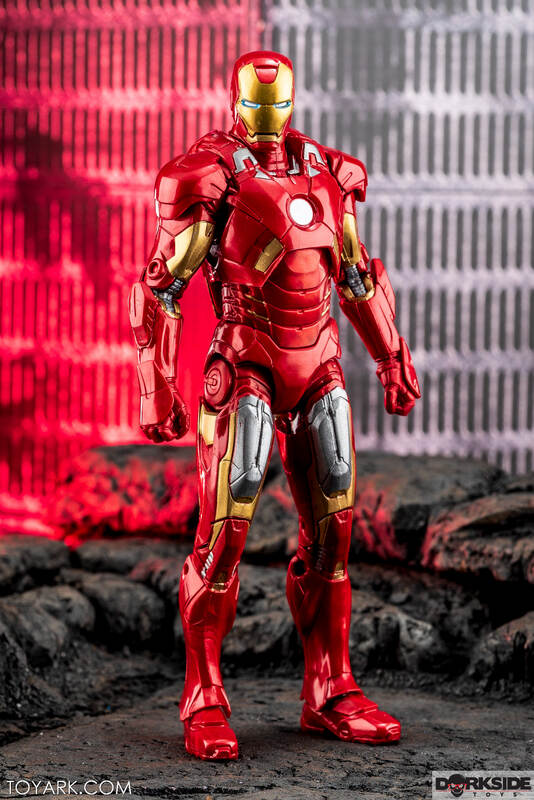 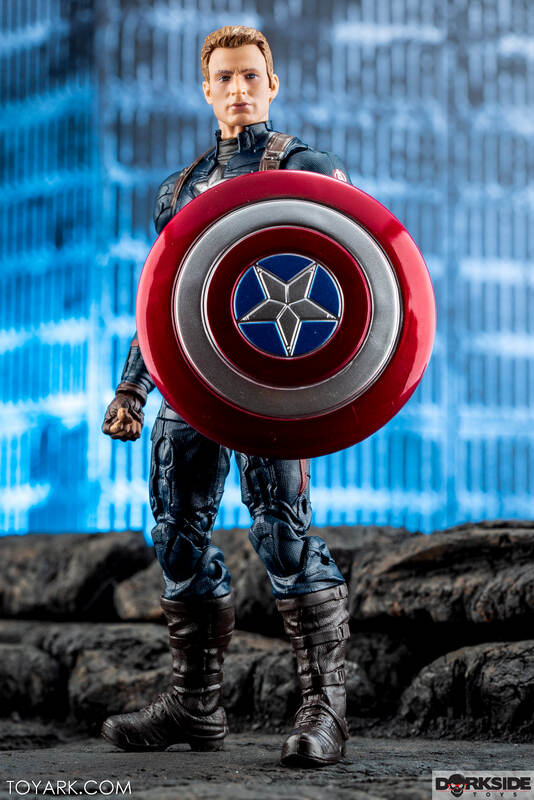 My fav here has to be Cap, the Chris Evans head sculpt and solid paint, metallic paint shield just nails it. 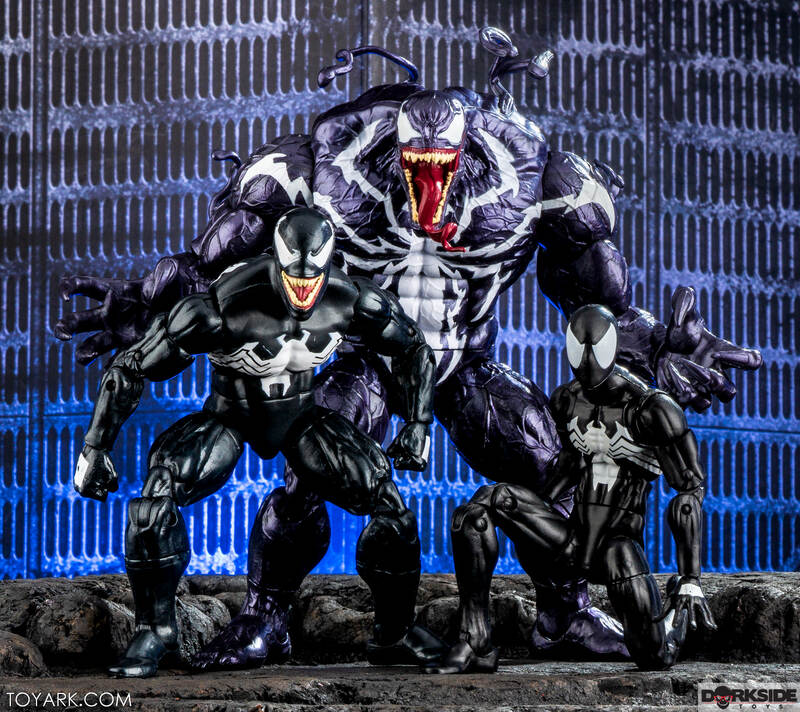 All 3 of these guys are out now and in stock over at Dorkside Toys. 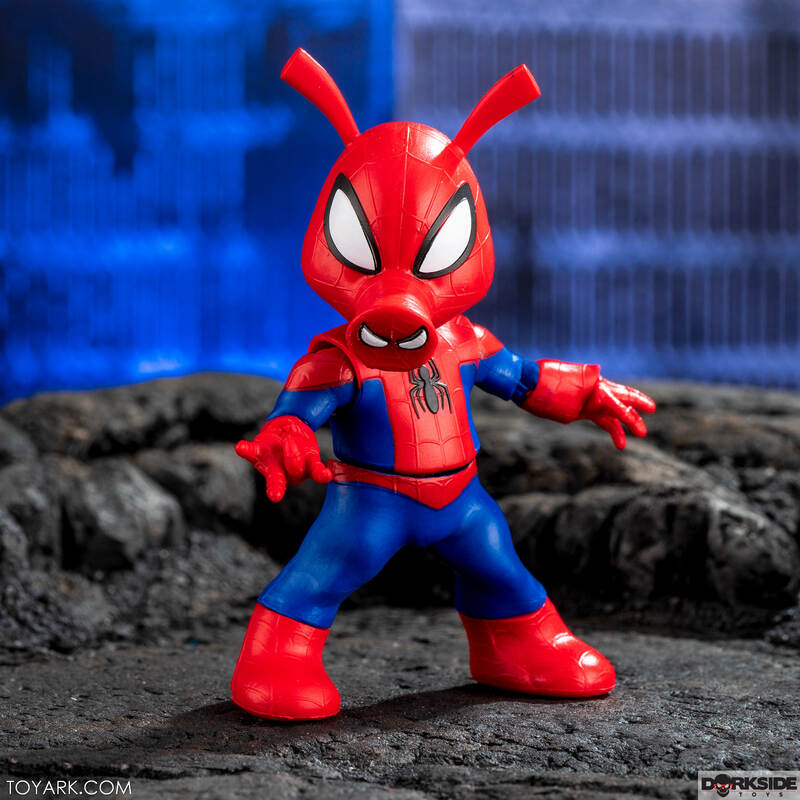 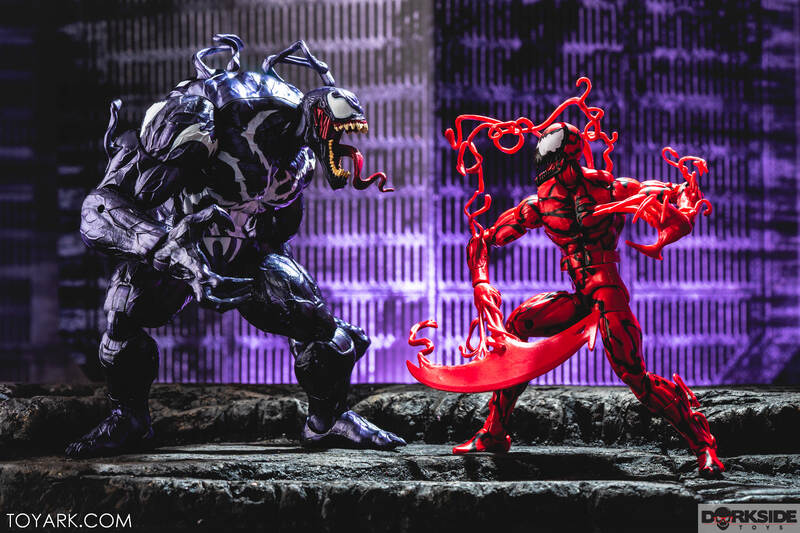 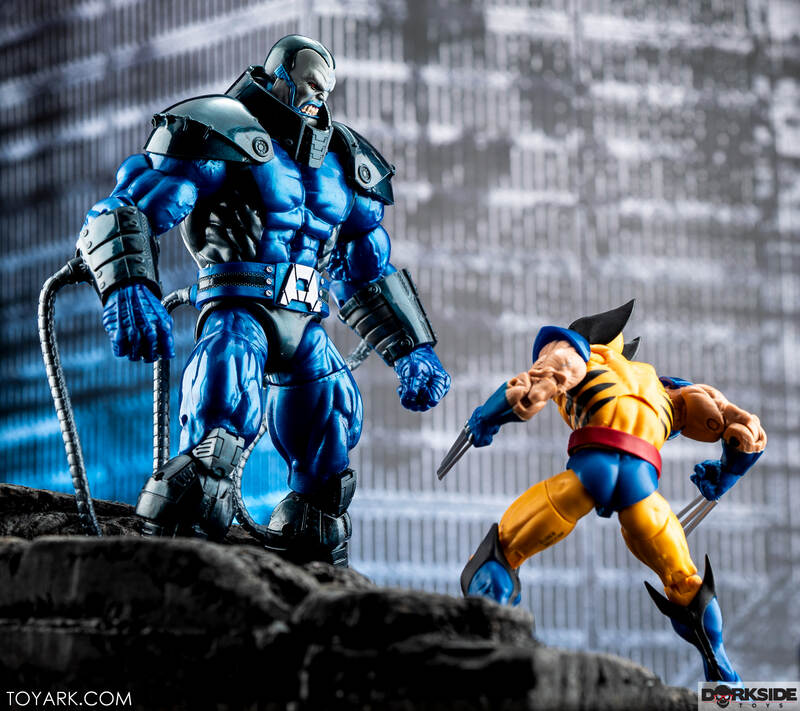 Head on over to grab these and other ML 10 pieces, both in stock and pre-order!